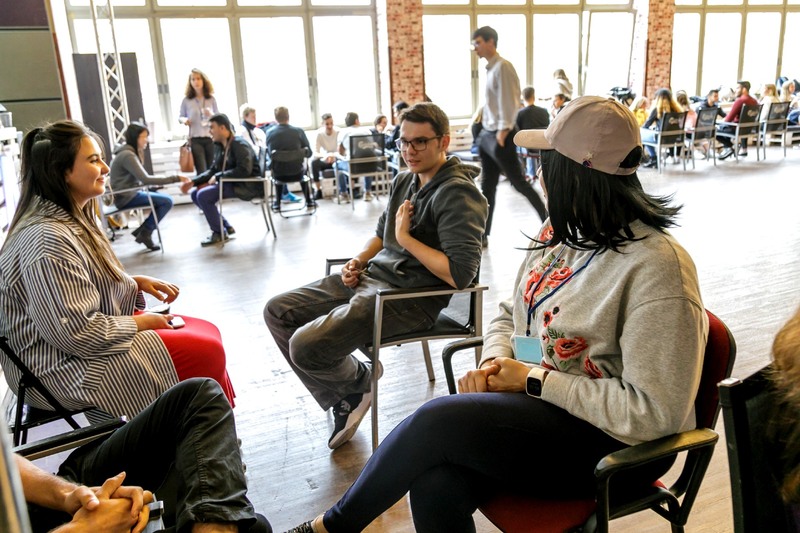 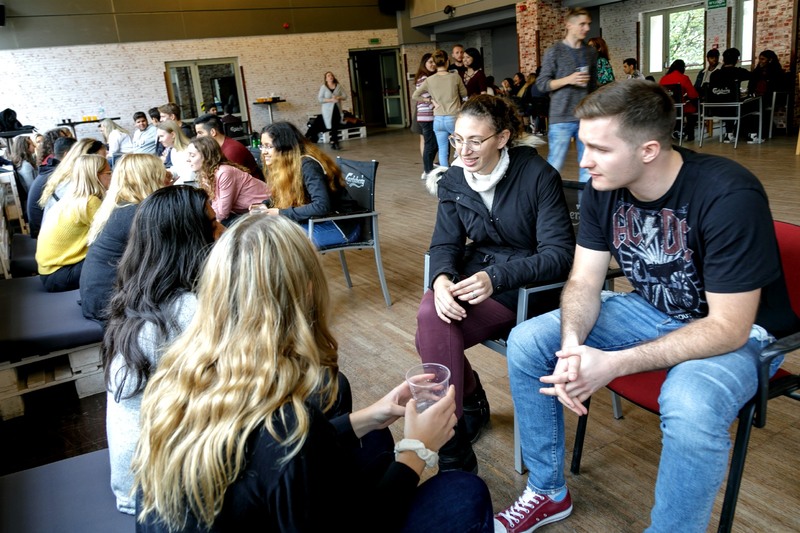 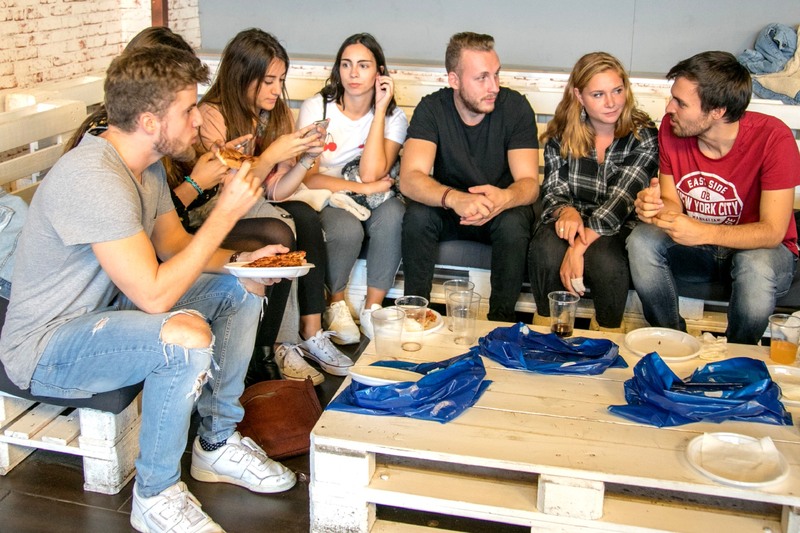 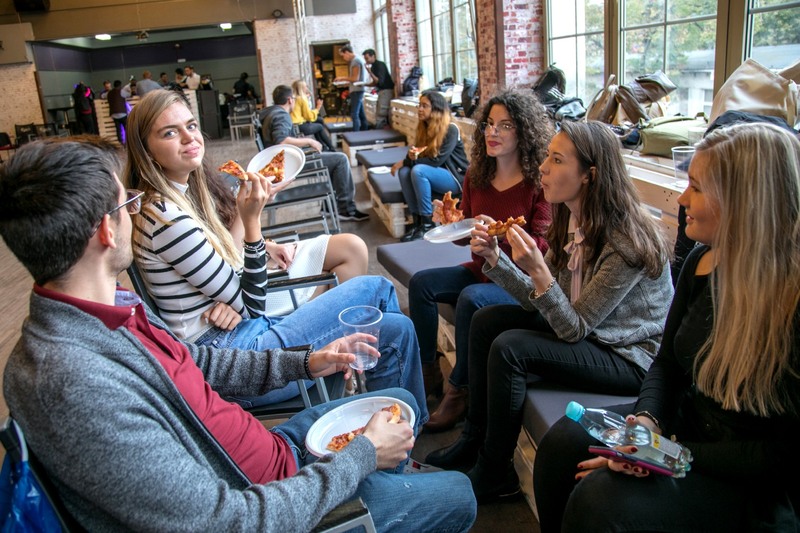 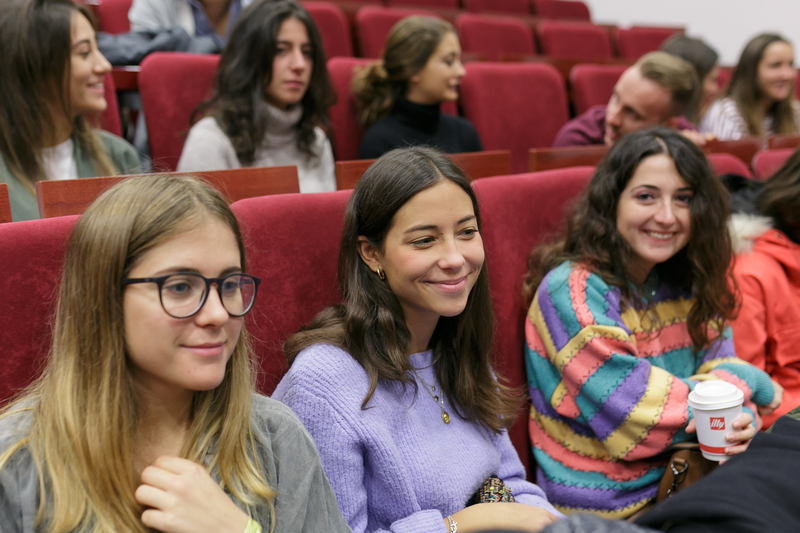 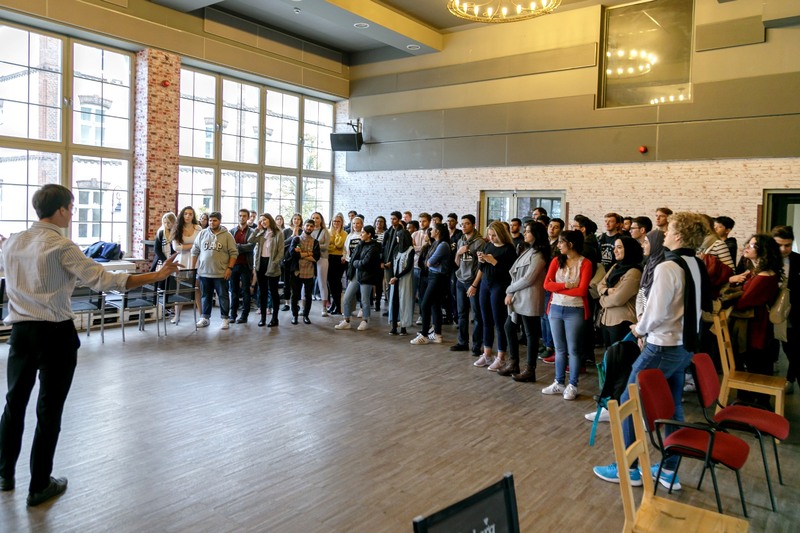 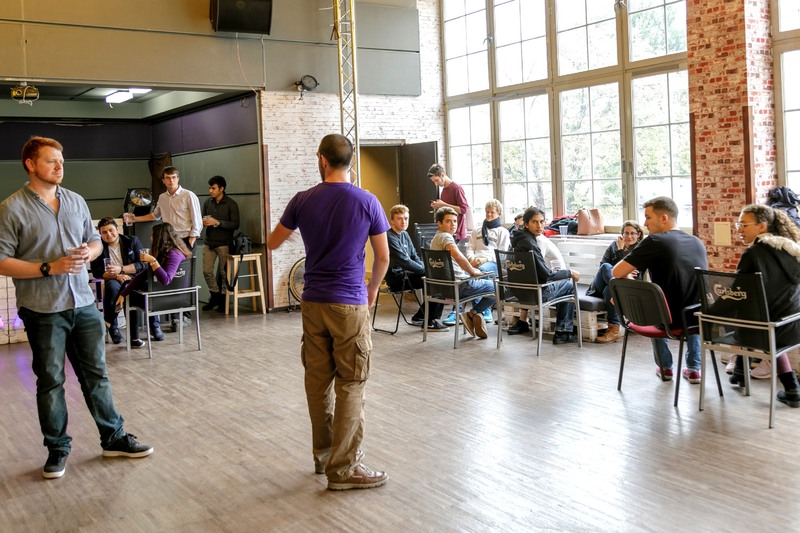 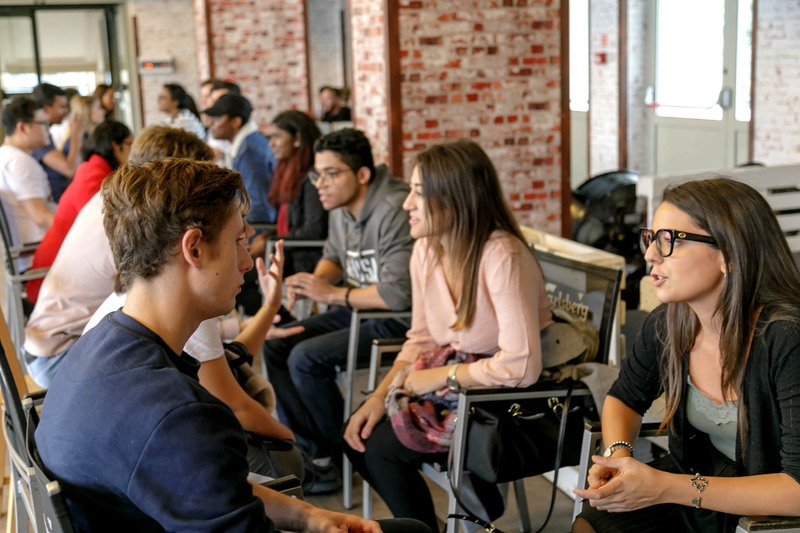 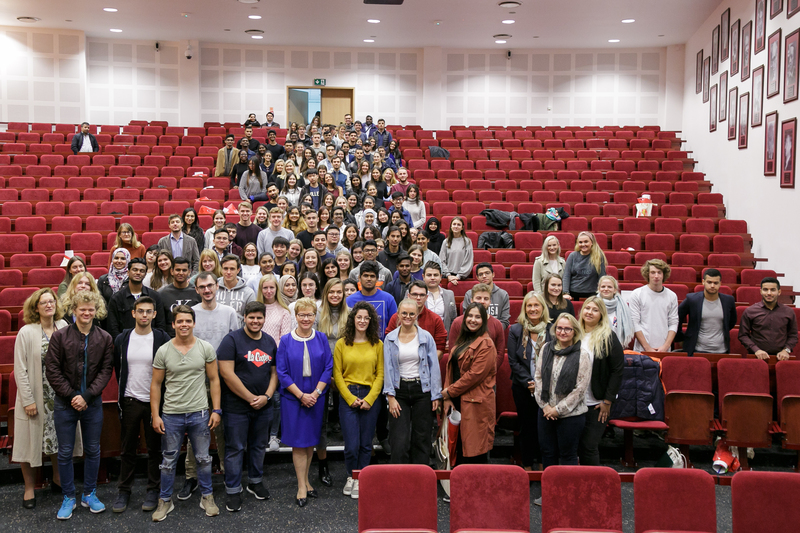 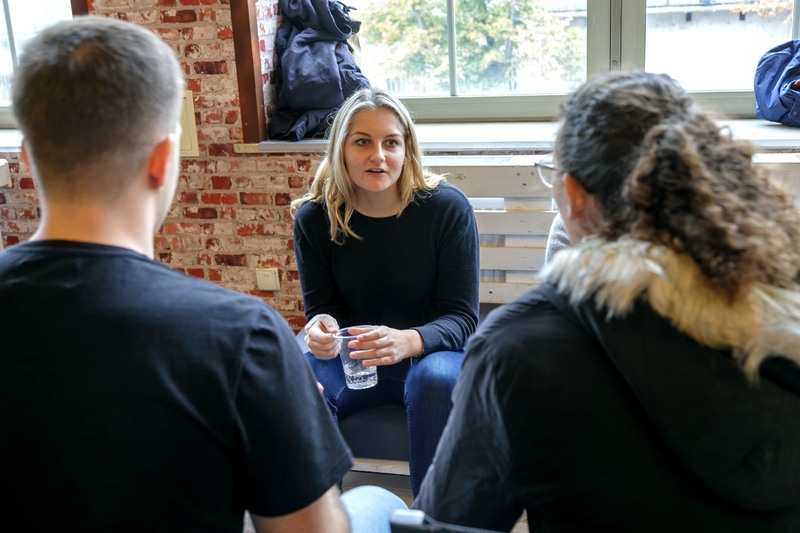 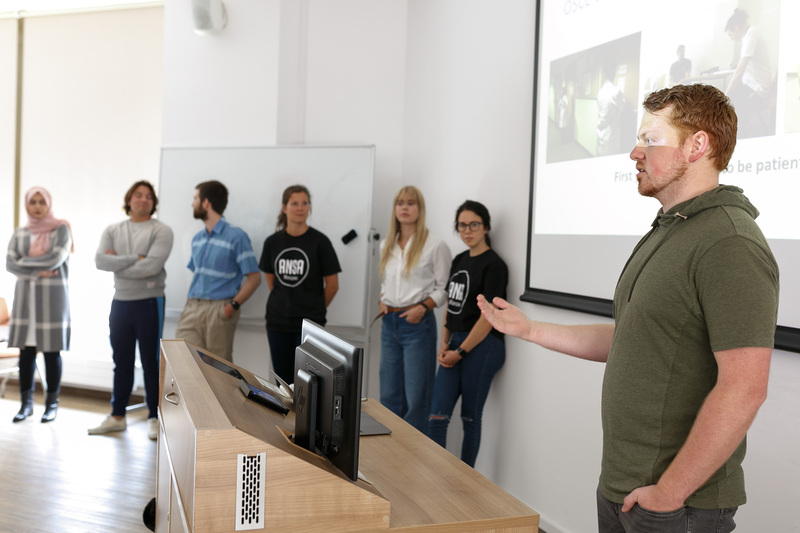 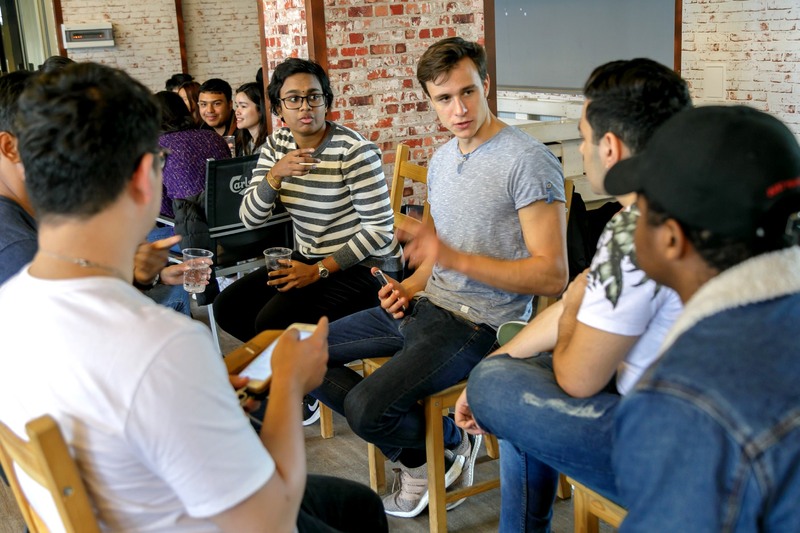 From Sept. 26-29, new first year English Division MD and DMD students as well as incoming ERASMUS and transfer students took part in information sessions and social activities aimed at making them feel welcome and at ease at Medical University of Warsaw, their new home. 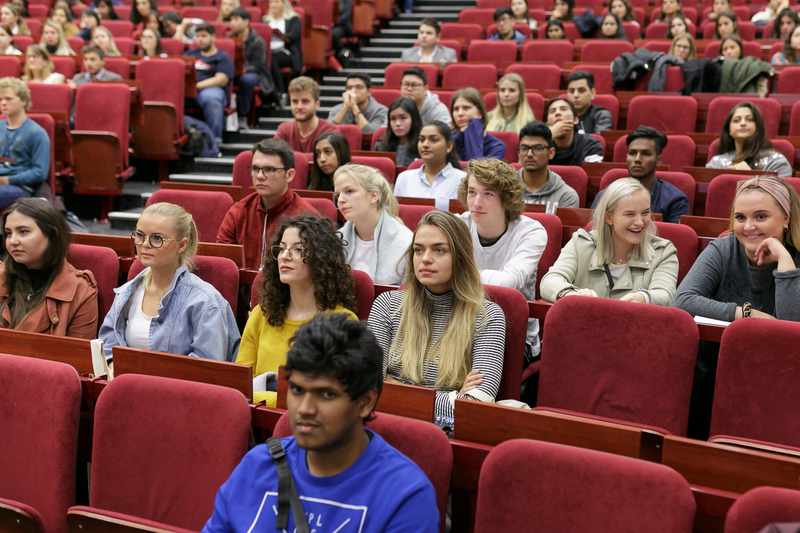 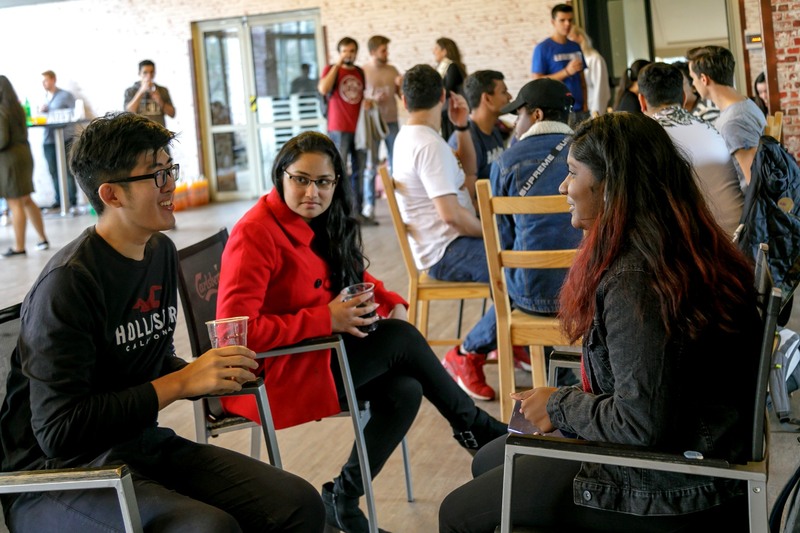 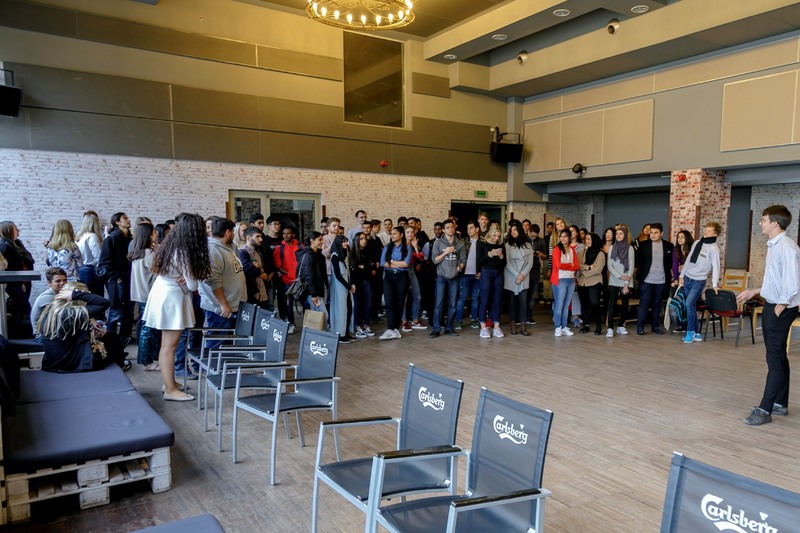 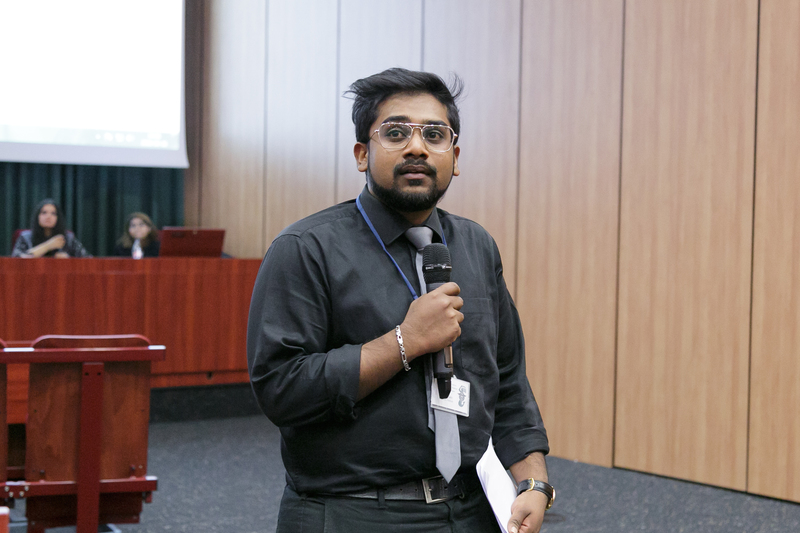 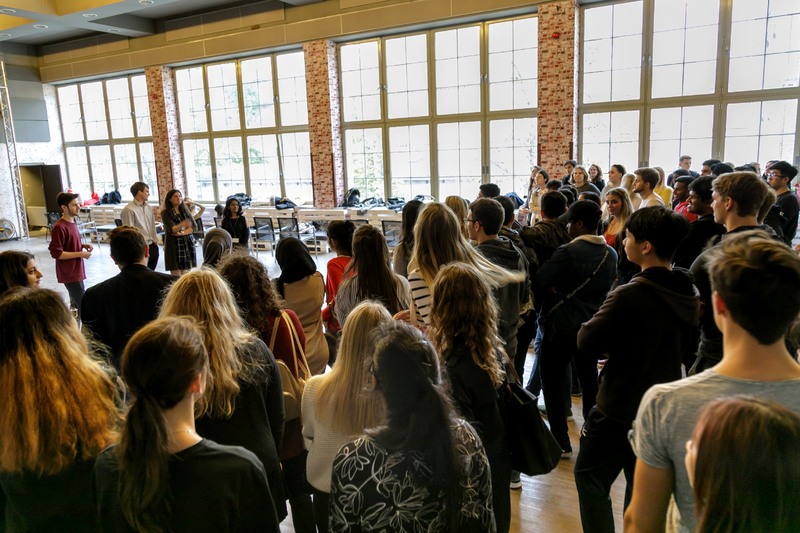 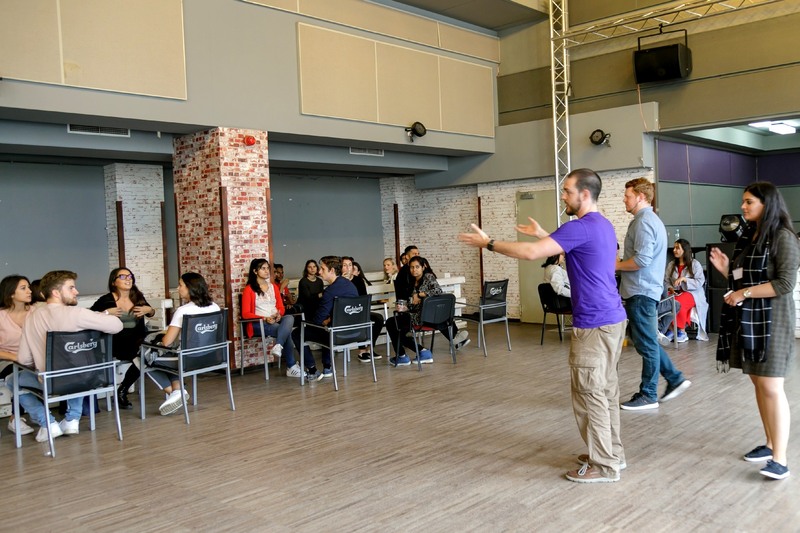 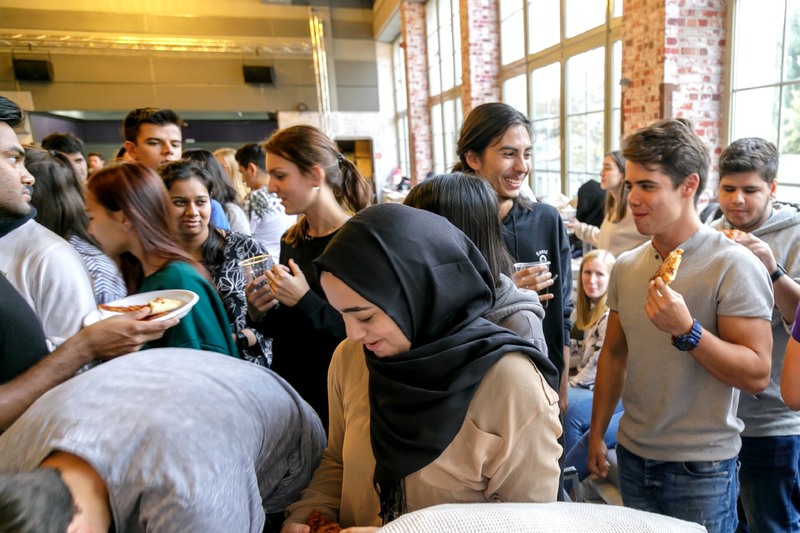 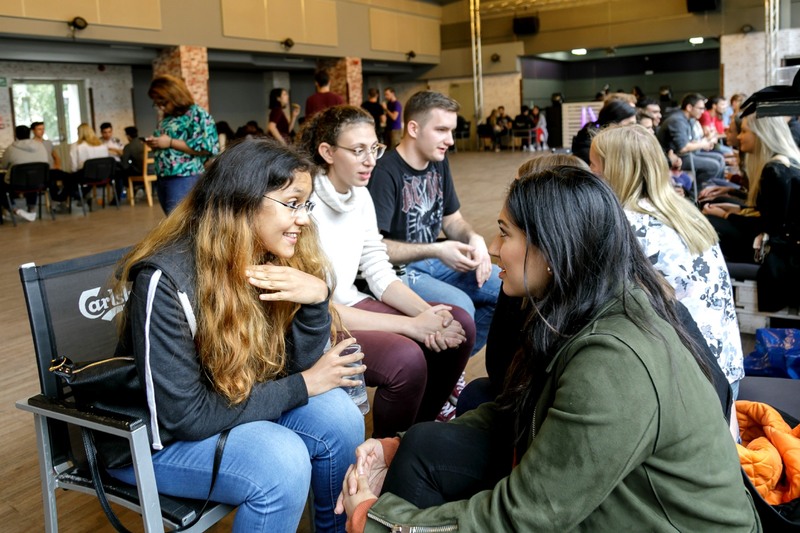 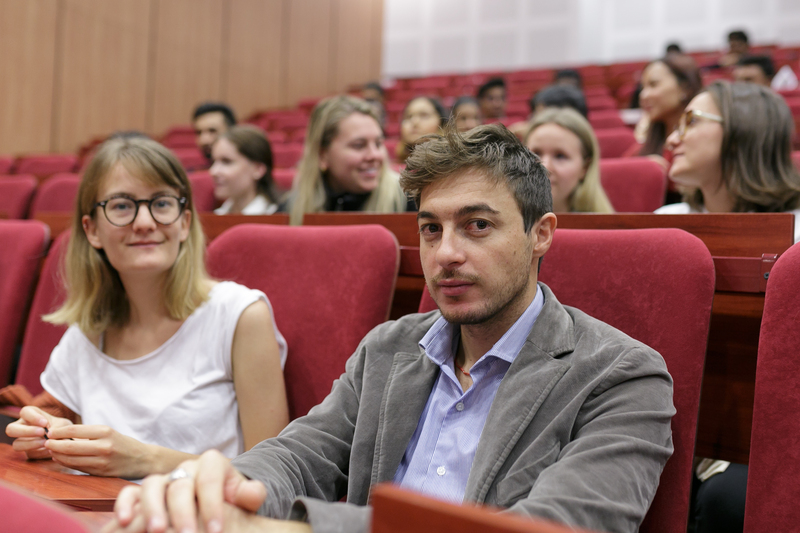 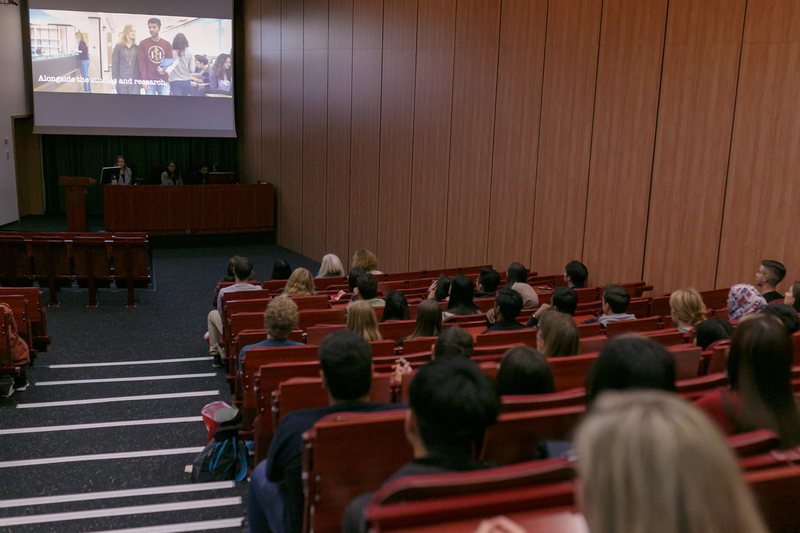 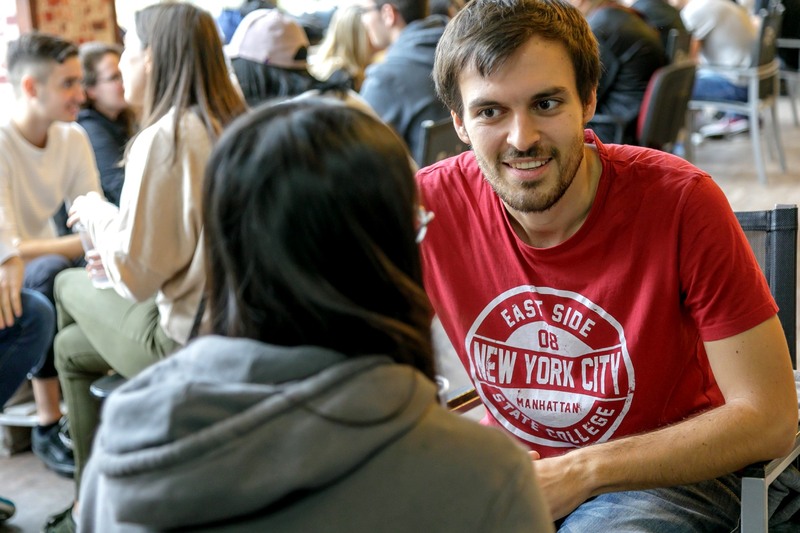 Orientation Week 2018 began on Wednesday morning in the Didactic Center where some one hundred new international students signed up to participate in the activities planned by EDSG. 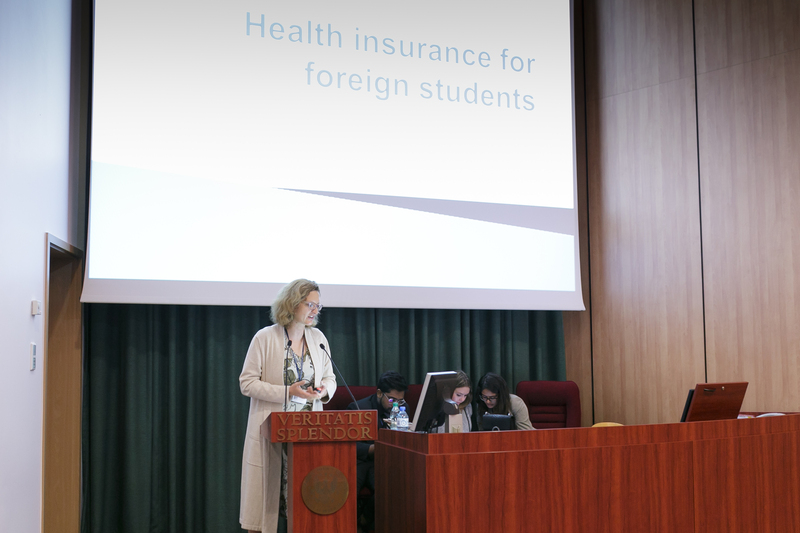 Prof. Bożena Werner, Dean of the English Division at the II Faculty of Medicine officially opened Orientation Week 2018 in Auditorium A. 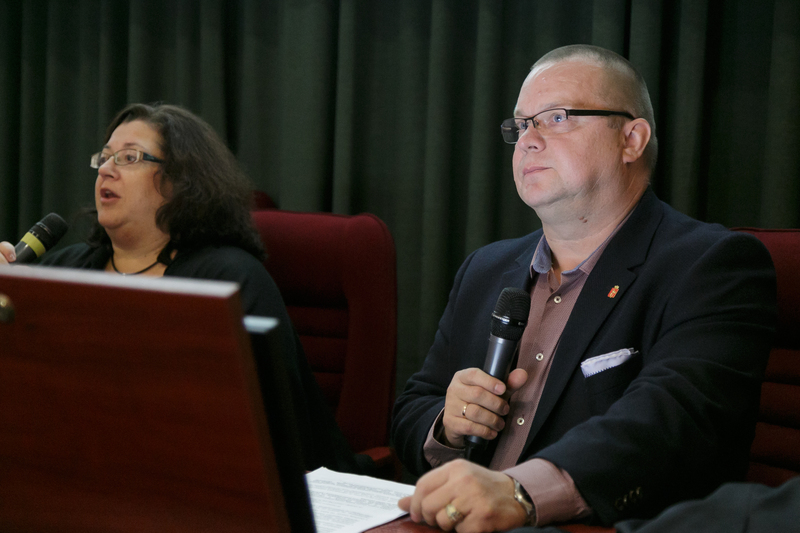 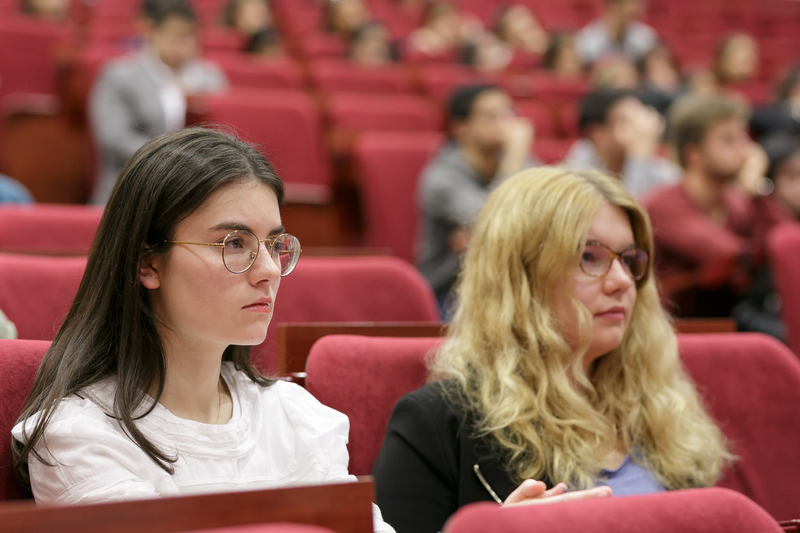 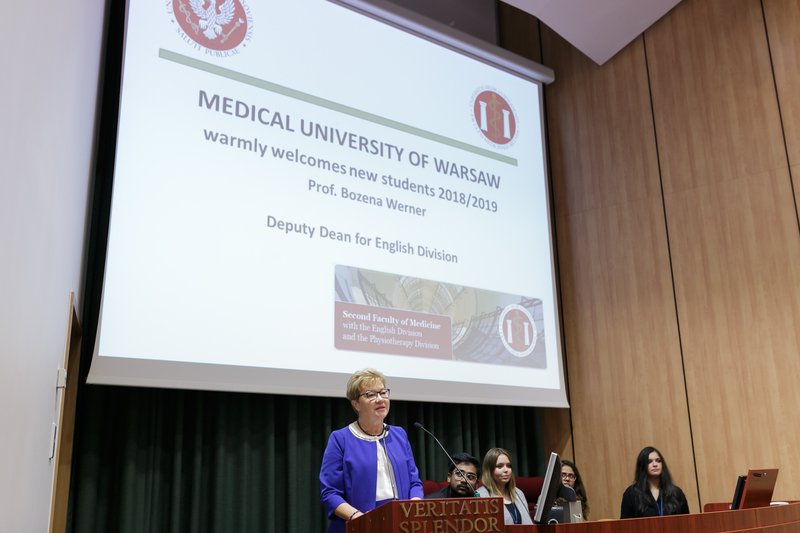 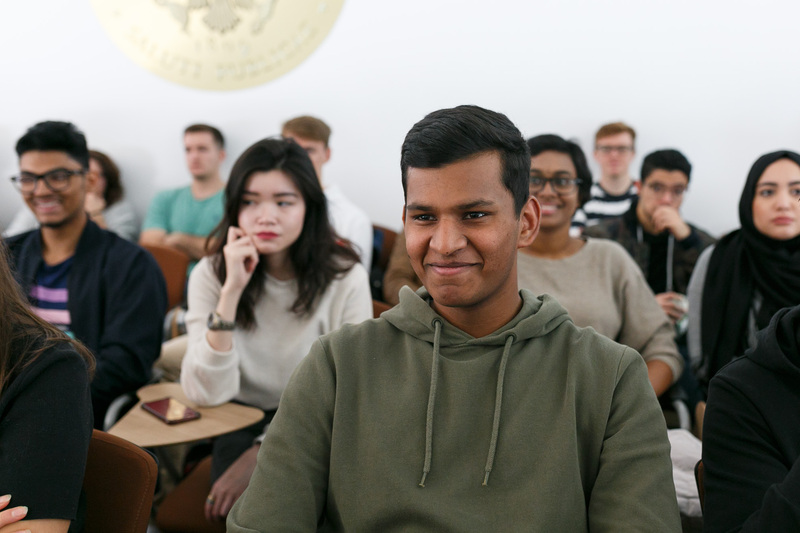 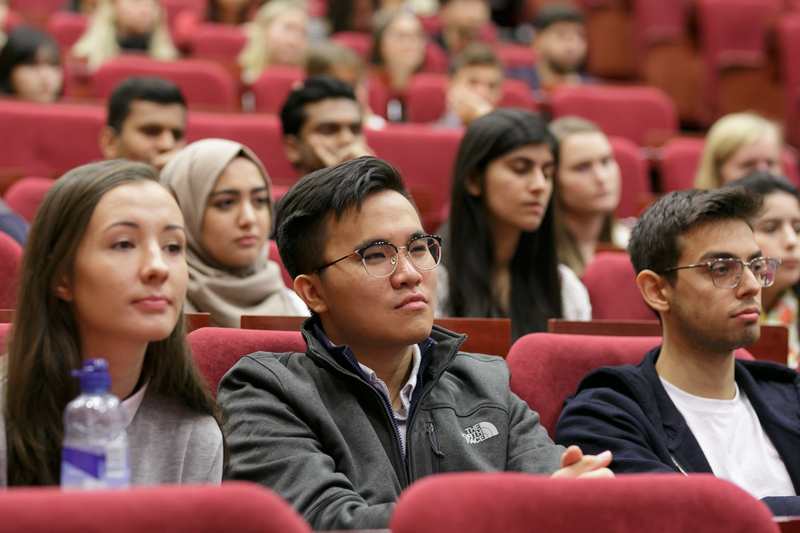 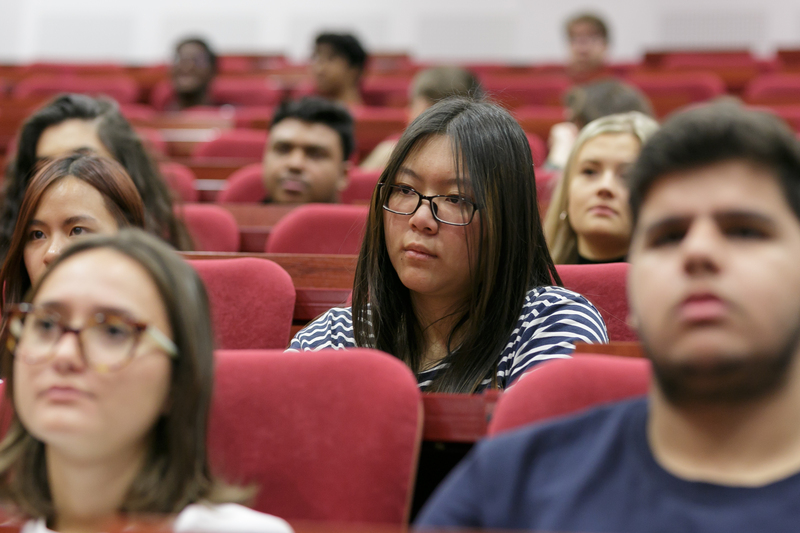 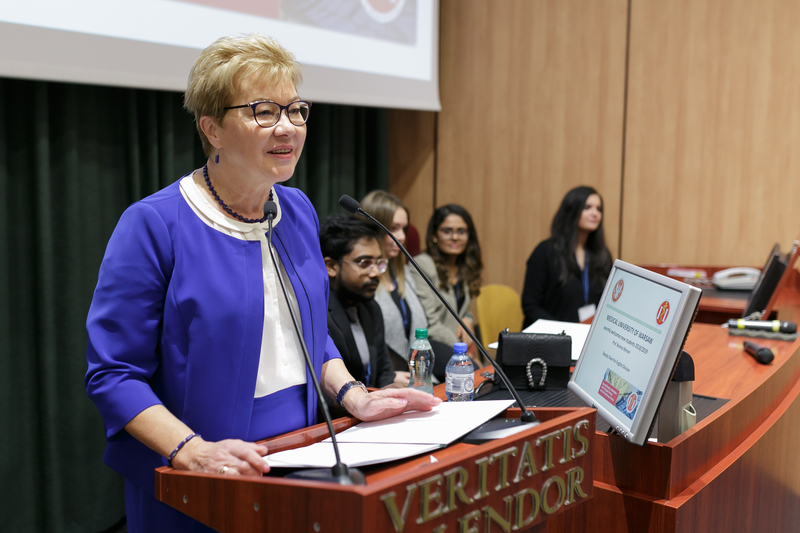 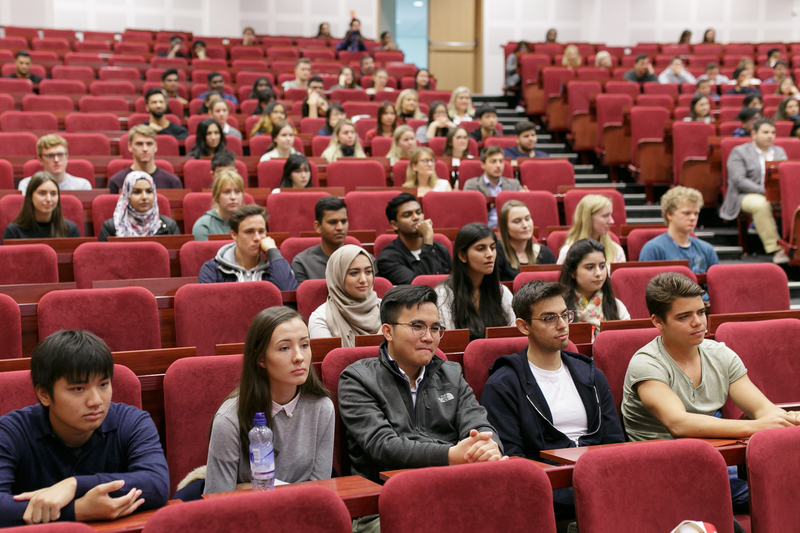 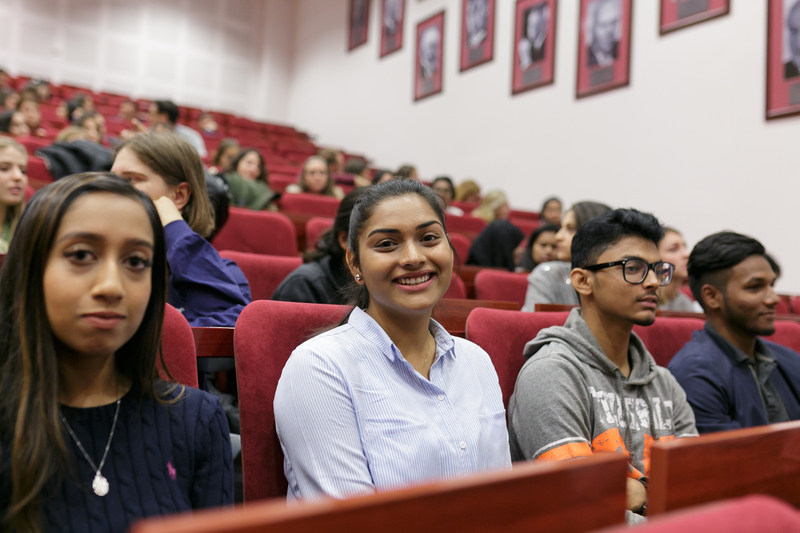 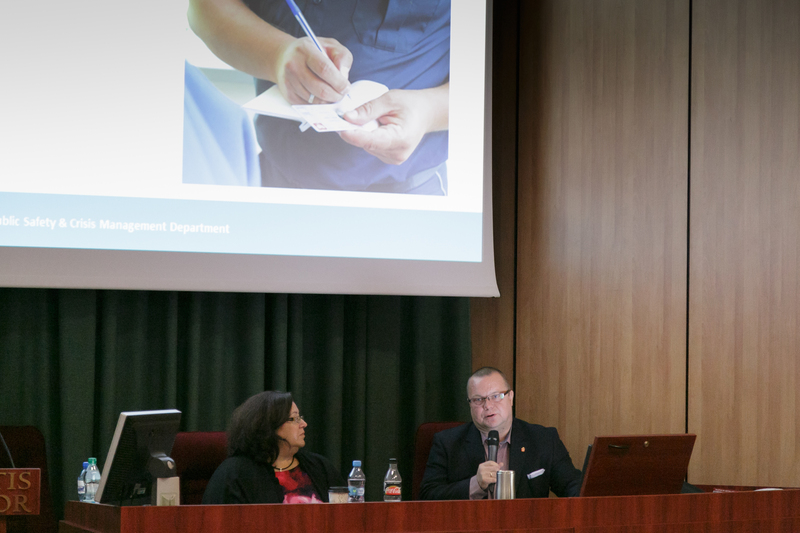 In her address, Dean Werner congratulated students on their success in being admitted to the Medical University of Warsaw and underlined that the real hard work is about to begin and reminded students that classes start Monday. 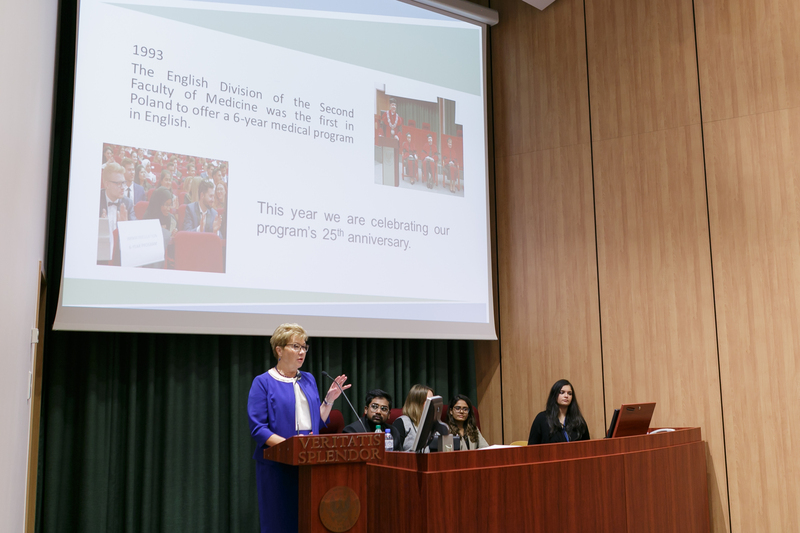 Dean Werner also reflected on the achievements of former English Division students and encouraged incoming students to take good advice from their older peers and follow in their footsteps. 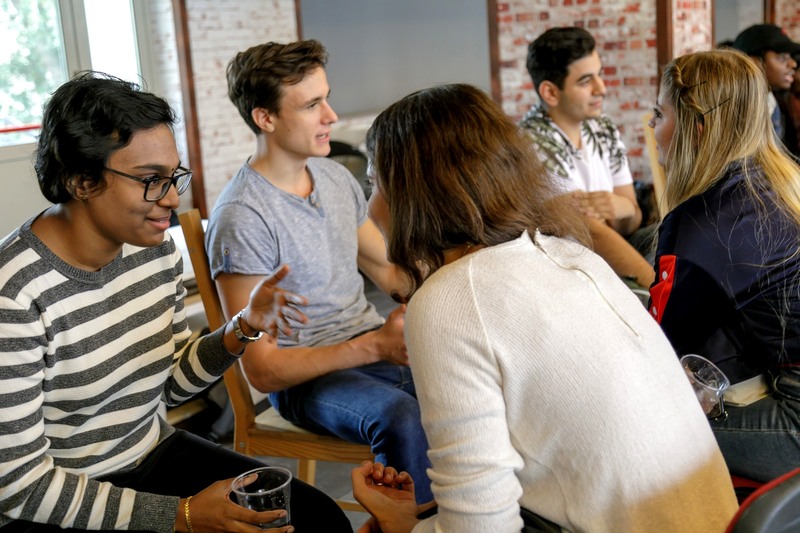 She quoted: “A creative person is motivated by the desire to achieve, not the desire to beat others.” (Ayn Rand, Russian- American writer). 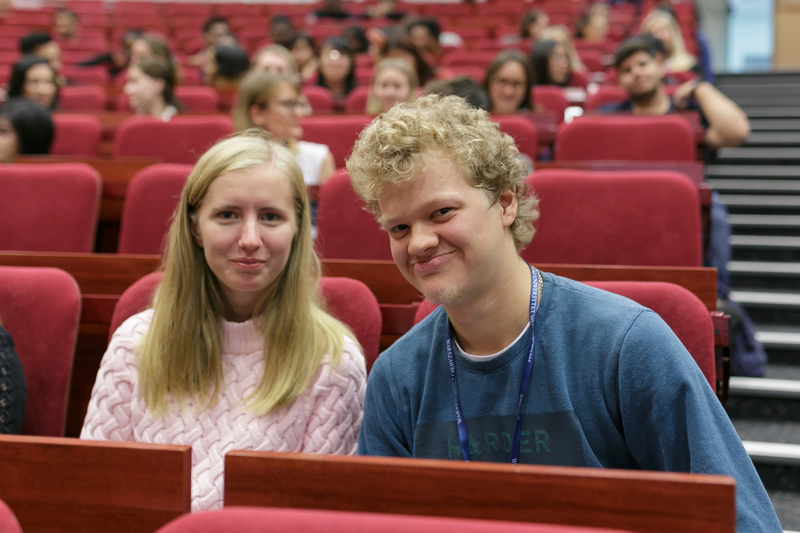 In ending, Dean Werner thanked EDSG for organizing such an interesting and rich program and wished first year students much success in their studies and a fun and safe Orientation Week. 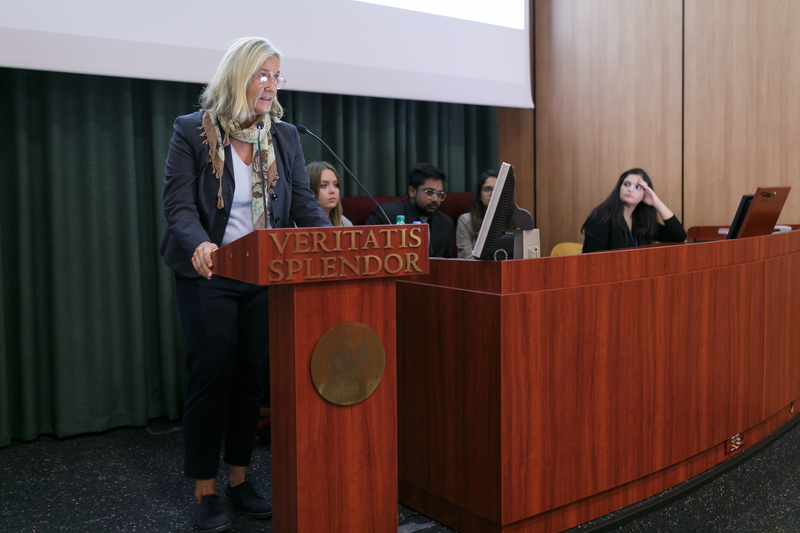 The first day of Orientation Week also included talks by the Head of Science Division from the German Embassy, Mrs. Gabriele Hermani, who invited all new international students to events organized by the German Embassy. 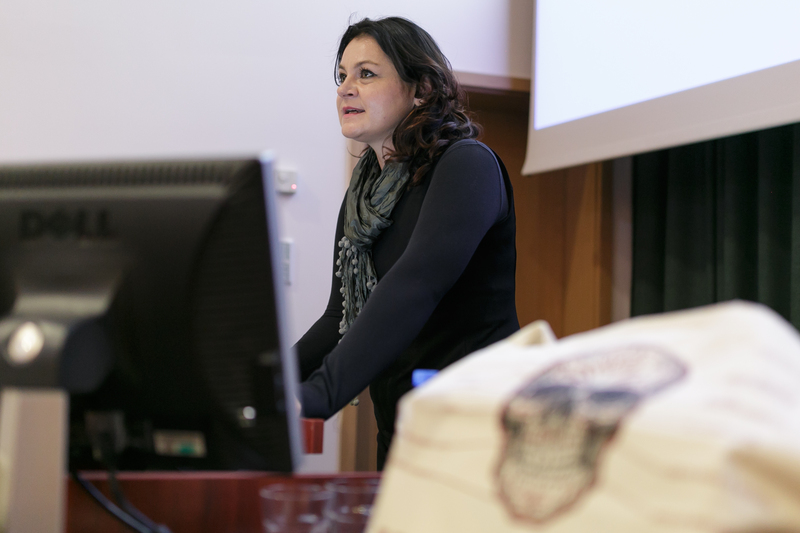 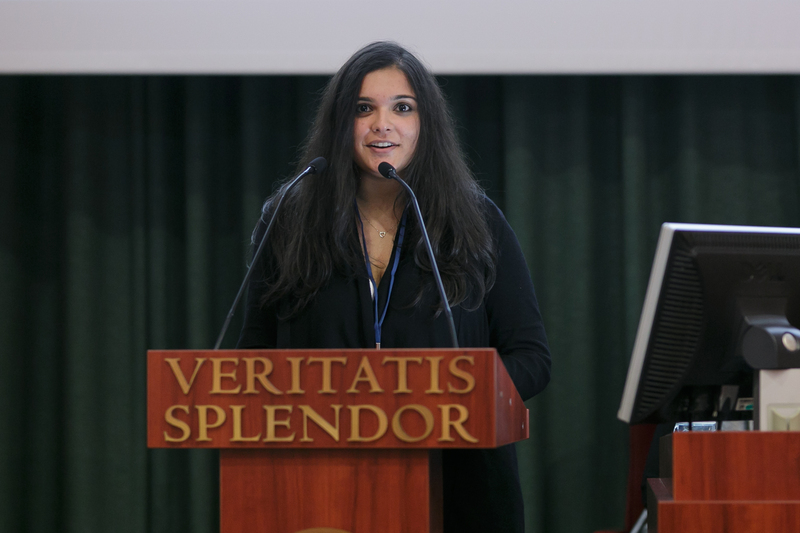 She also encouraged the audience to discover Warsaw and presented a list of her top 10 favorite sites to visit. 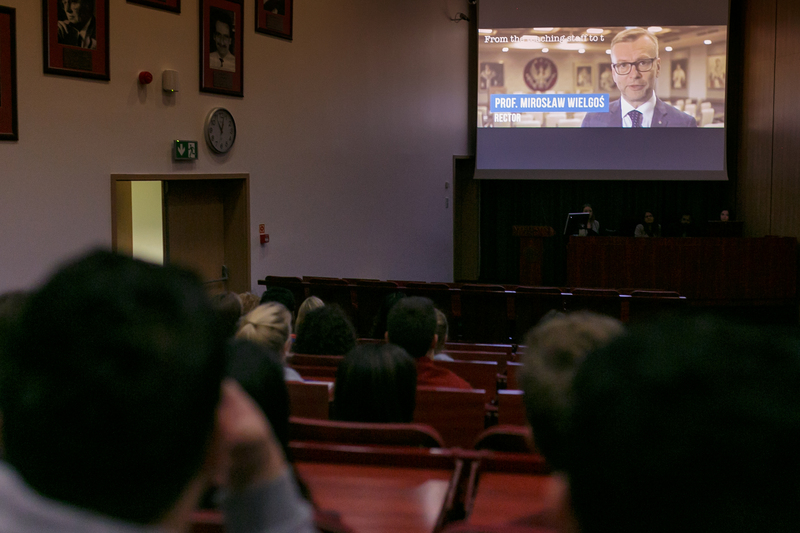 Next, students heard essential information about their stay in Warsaw, Poland. 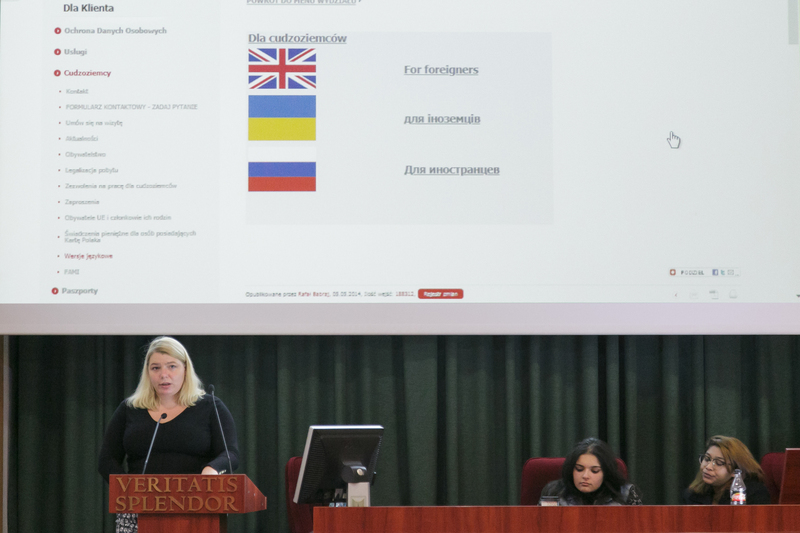 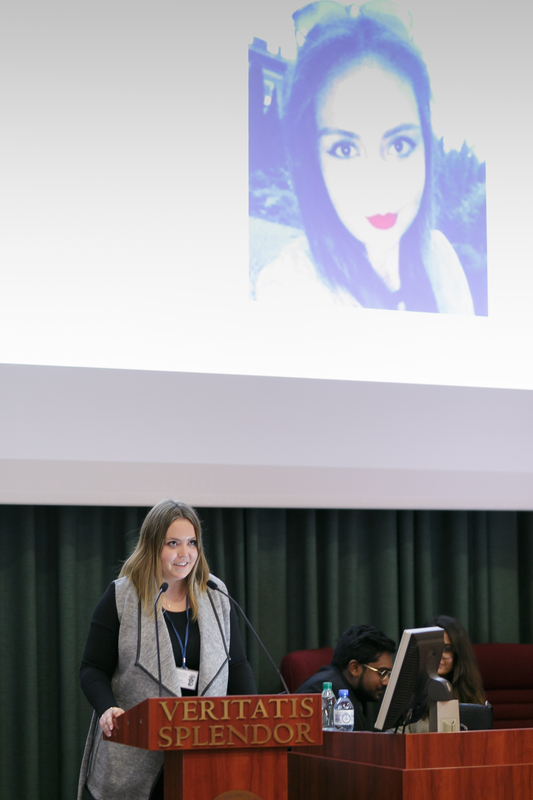 The representative of the Mazowiecki Voivodship Office of Foreigners’ Affairs, Mrs. Bogusława Domańska, gave a comprehensive presentation on the procedures foreign students should follow to receive a temporary residence permit. 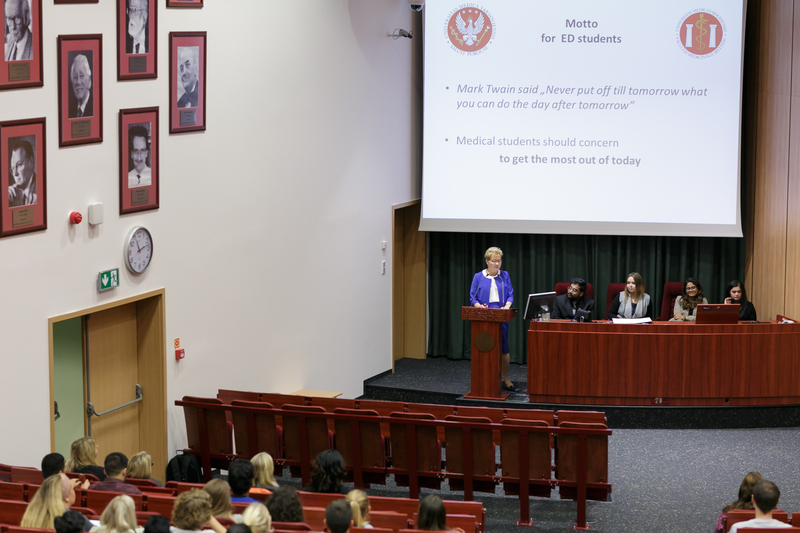 Mrs. Domańska remained long after her presentation to answer students’ numerous questions. 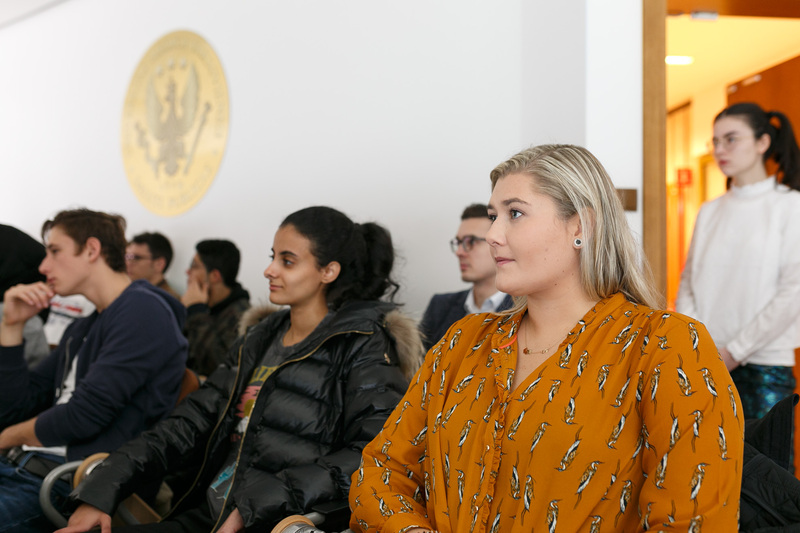 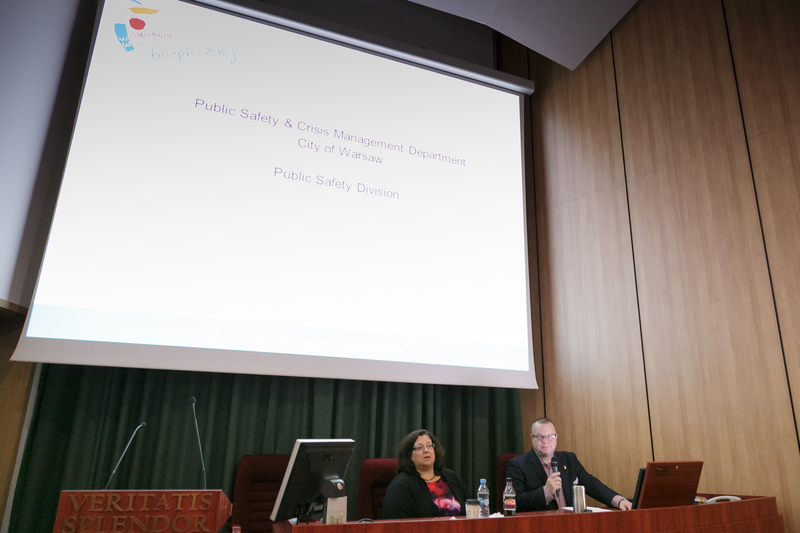 New incoming international students also learned about their rights and obligations as residents of Warsaw from the Public Safety & Crisis Management Department of the City of Warsaw. 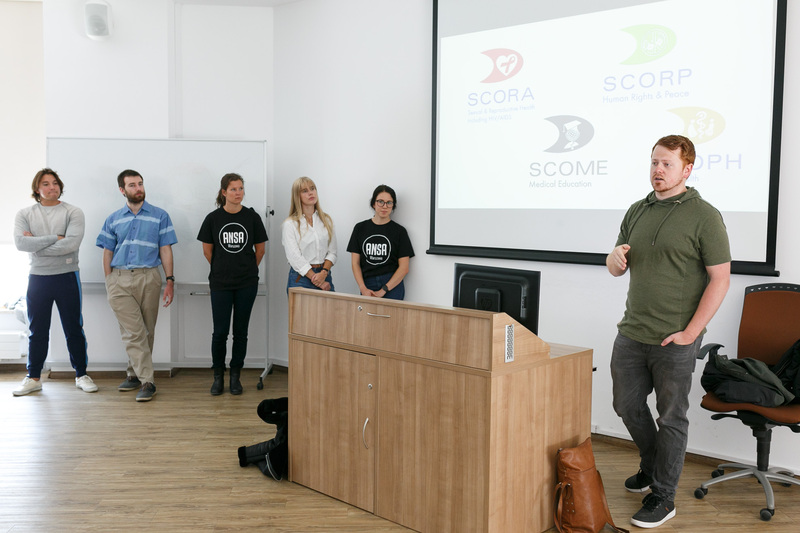 They also received delightful gadgets with Warsaw’s logo. 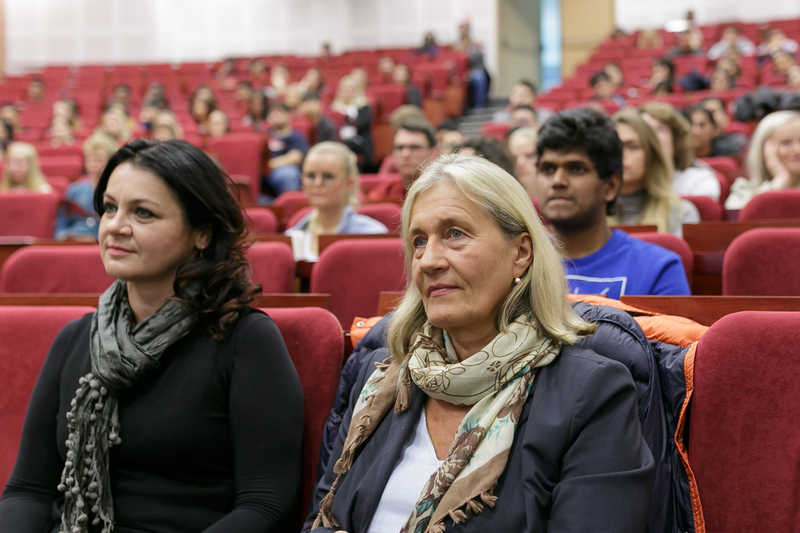 Dr Magdalena Łazarewicz from the University’s Psychological Counseling Center invited the incoming students to take advantage of services available to English Division students at www.ucs.wum.edu.pl and urged students to react quickly to signs of distress amongst peers and in their own personal lives. 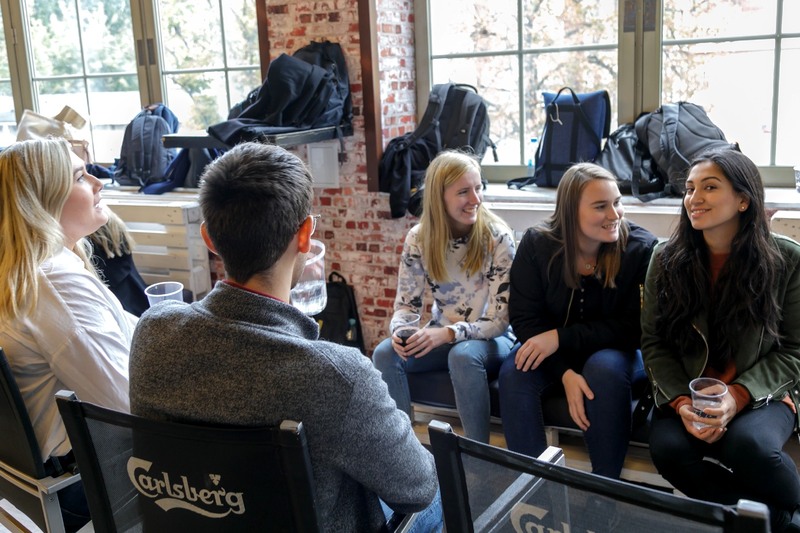 Following lunch in the student Relaxation Zone, new students were taken on campus tours in groups led by volunteers from upper years. 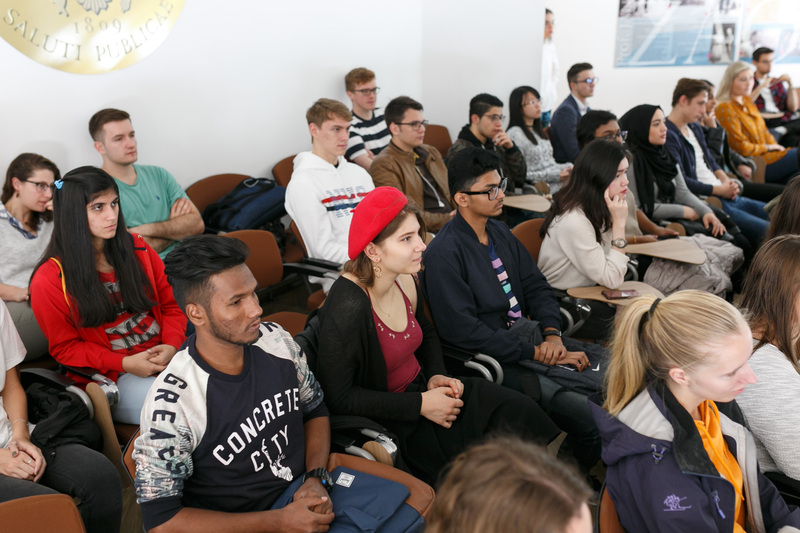 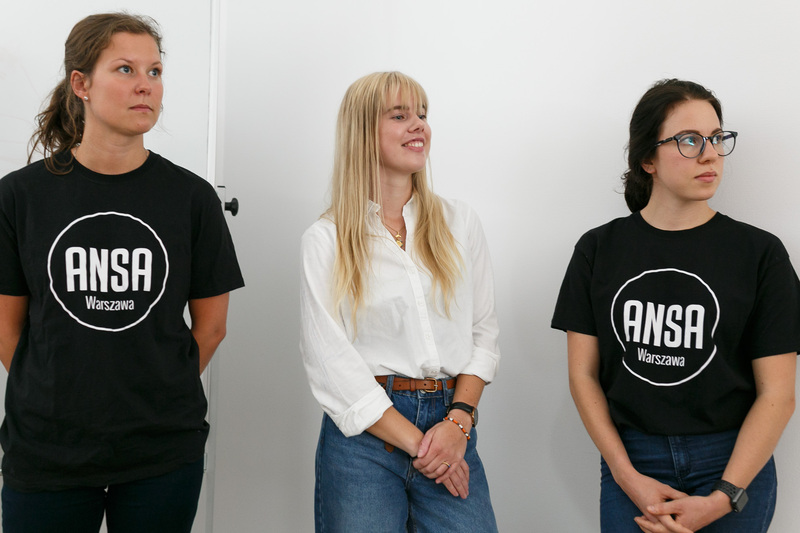 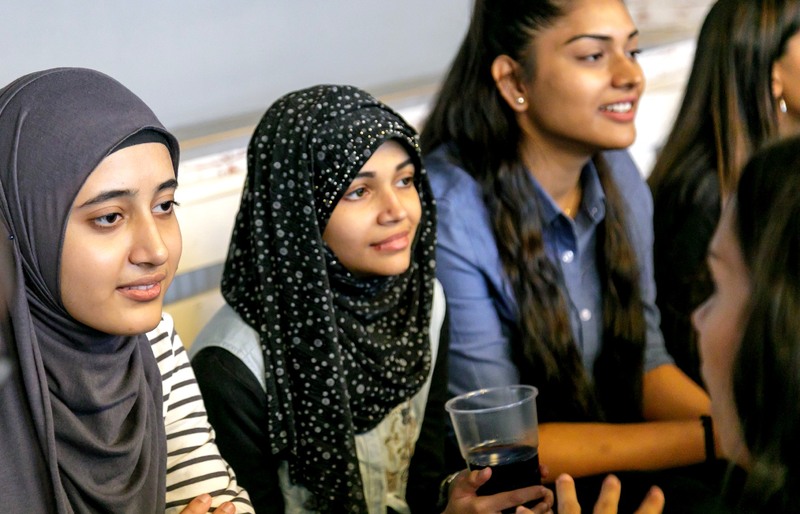 Group leaders showed their younger peers the Banacha campus and talked about their experience in the English Division medical or dentistry programs. 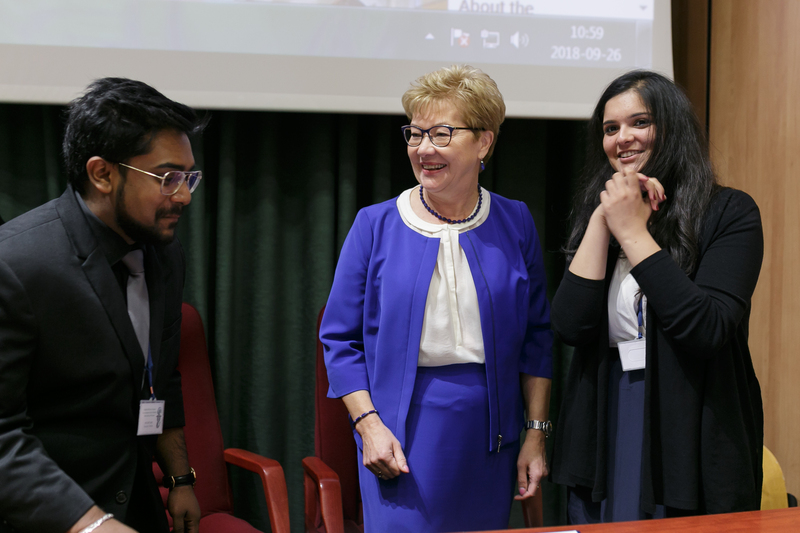 The last meeting on the first day was with the Ambassador of Malaysia, H.E. 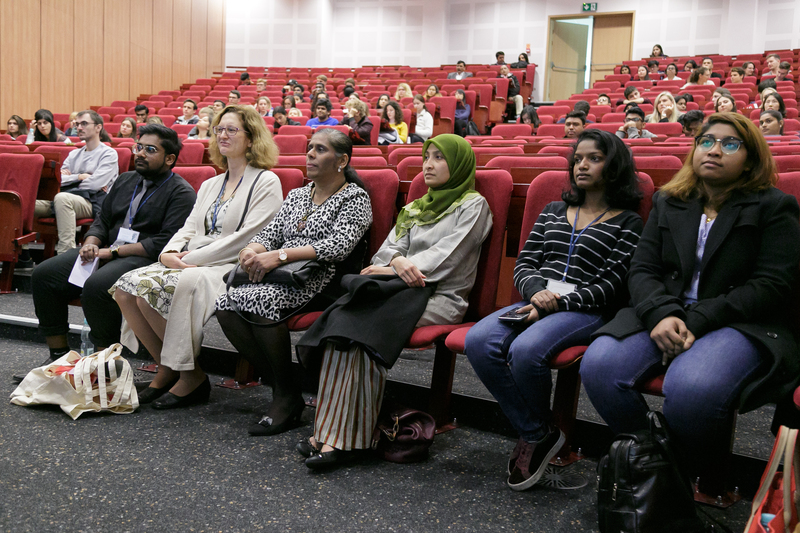 Mrs. Chitra Devi Ramiah, and the First Secretary, who extended a warm welcome to the new Malaysian students (10 in total) joining the existing community of almost fifty Malaysian students at the Medical University of Warsaw. 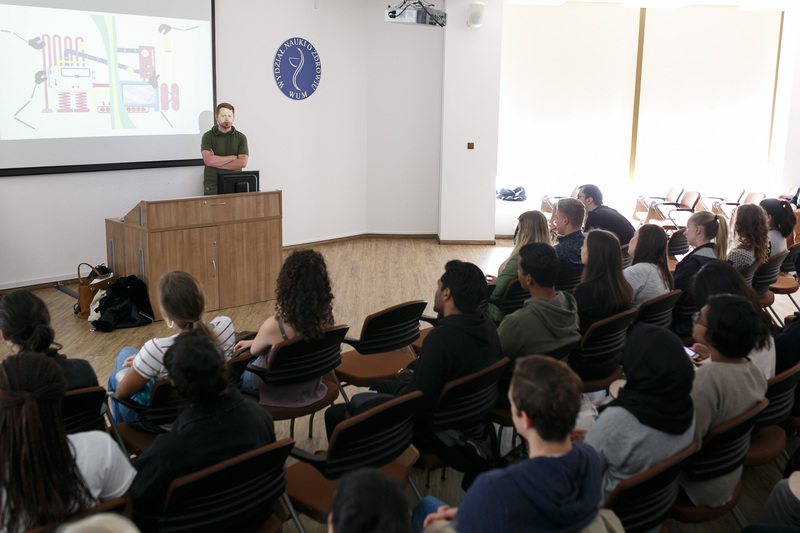 The second day of Orientation Week 2018 took place in the Anatomicum building where first year MD and DMD students were introduced to the most important subjects: anatomy and histology. 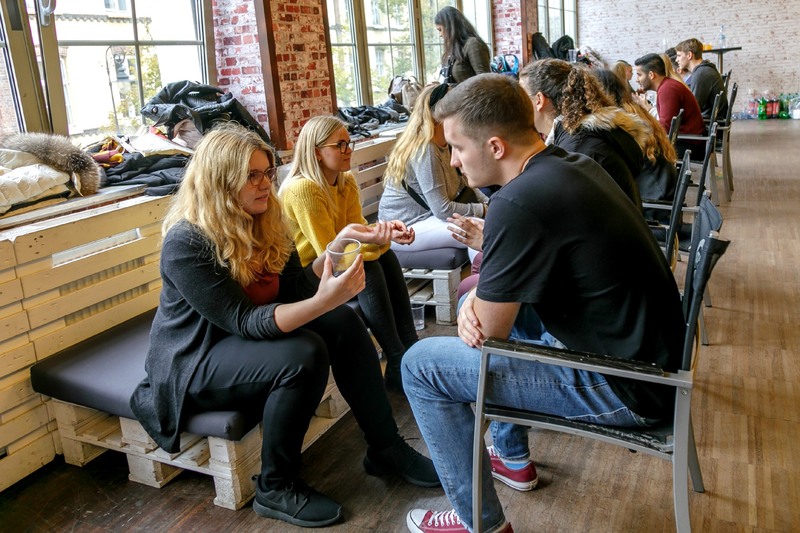 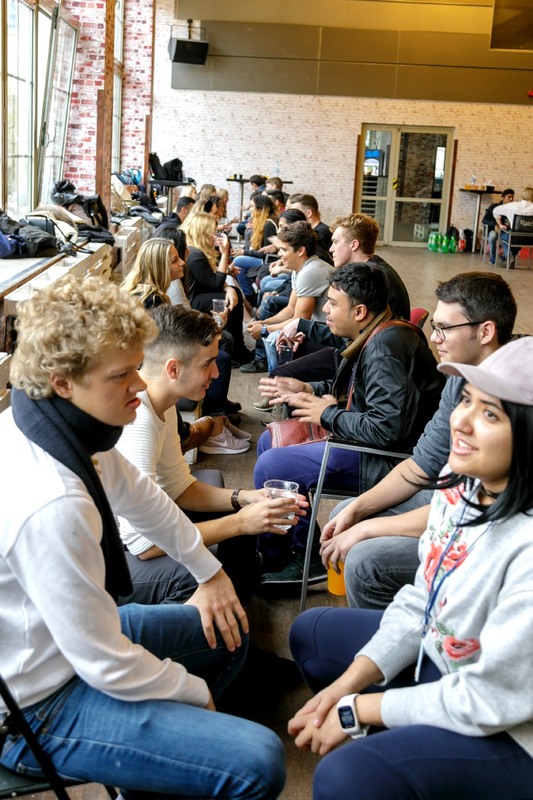 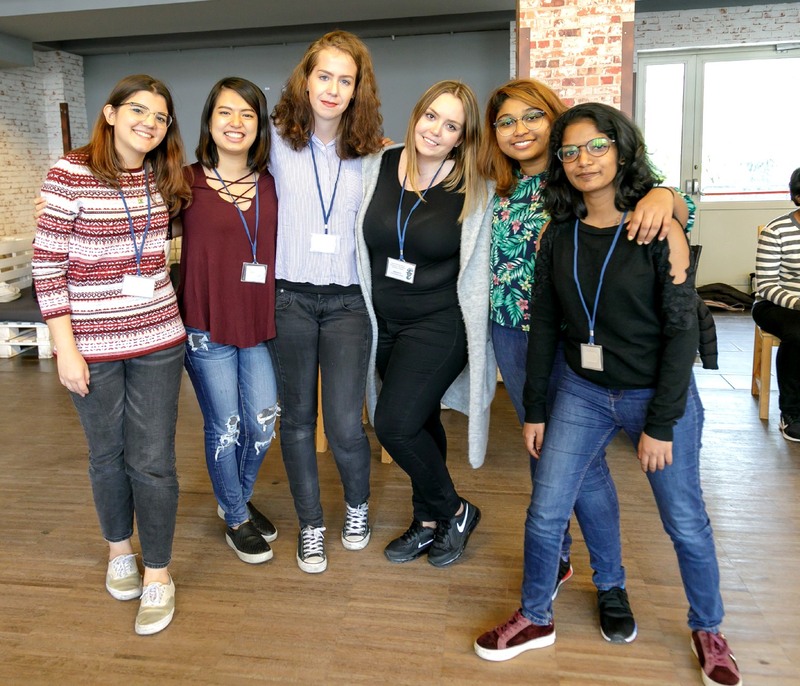 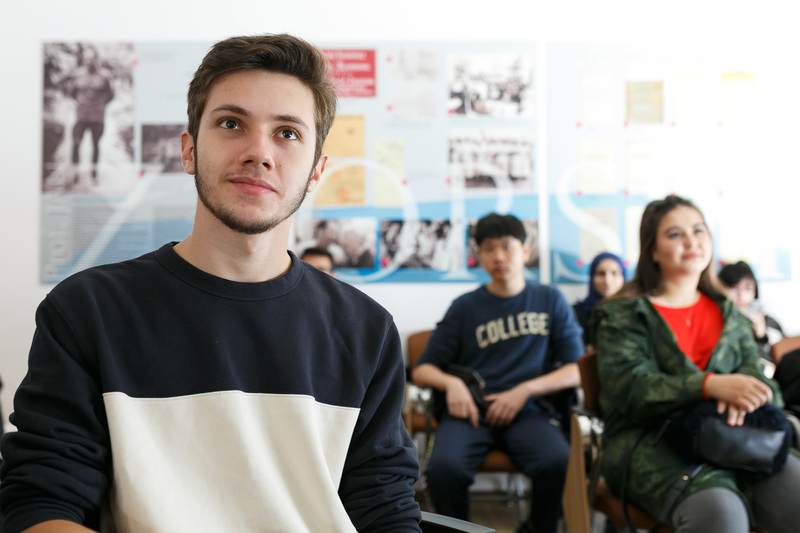 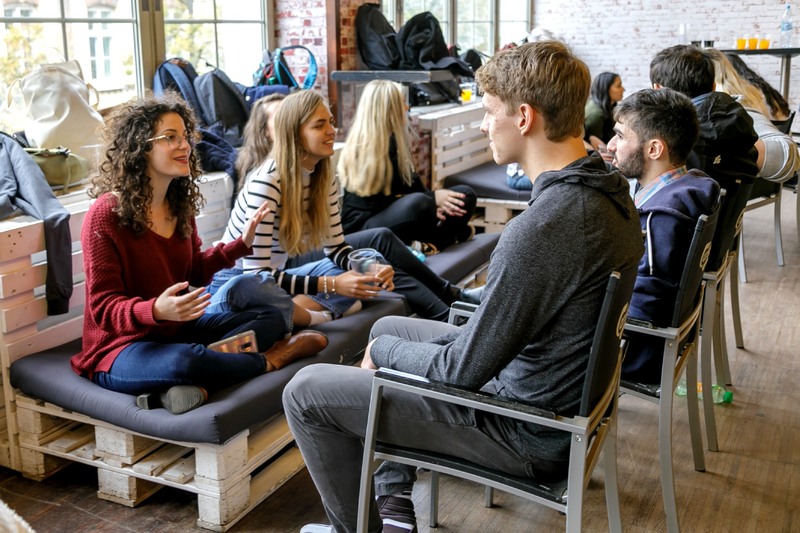 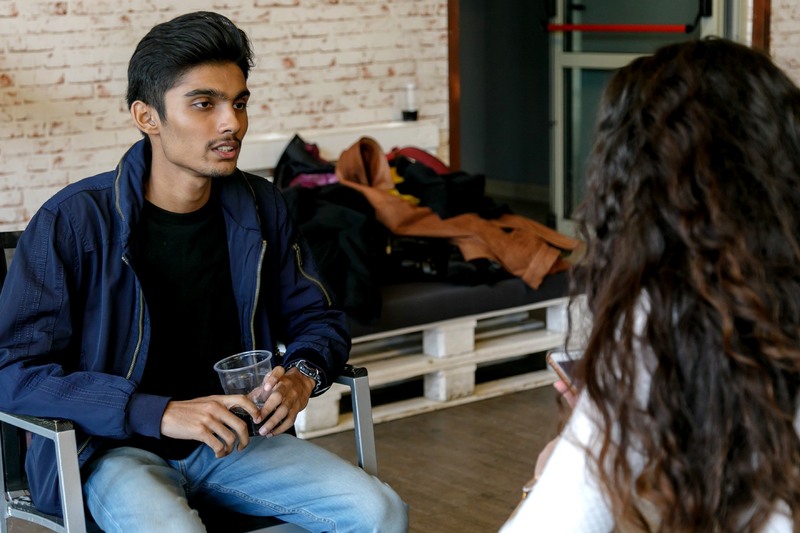 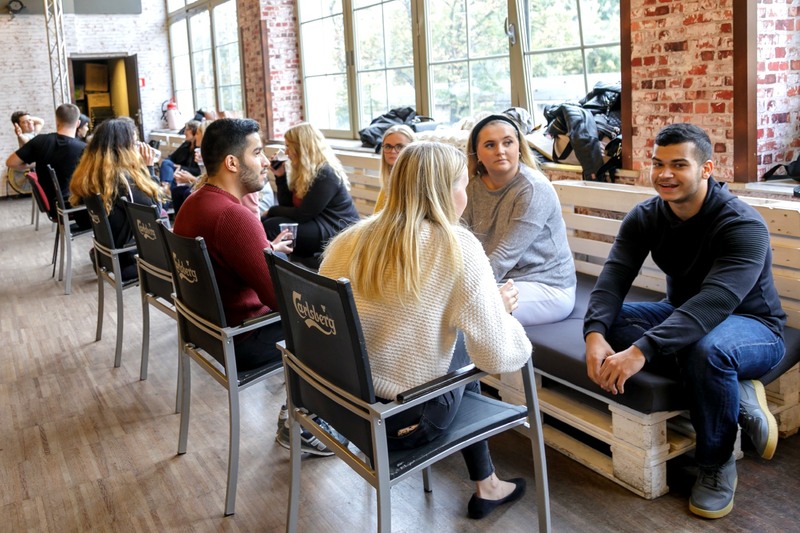 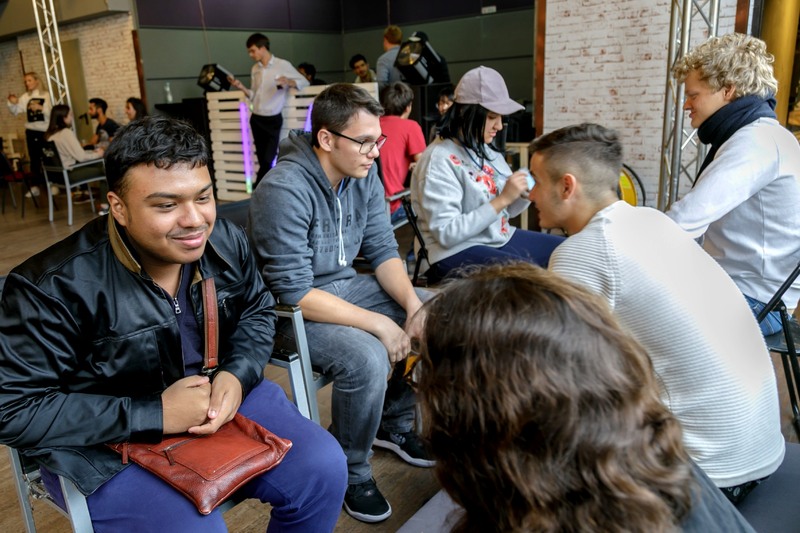 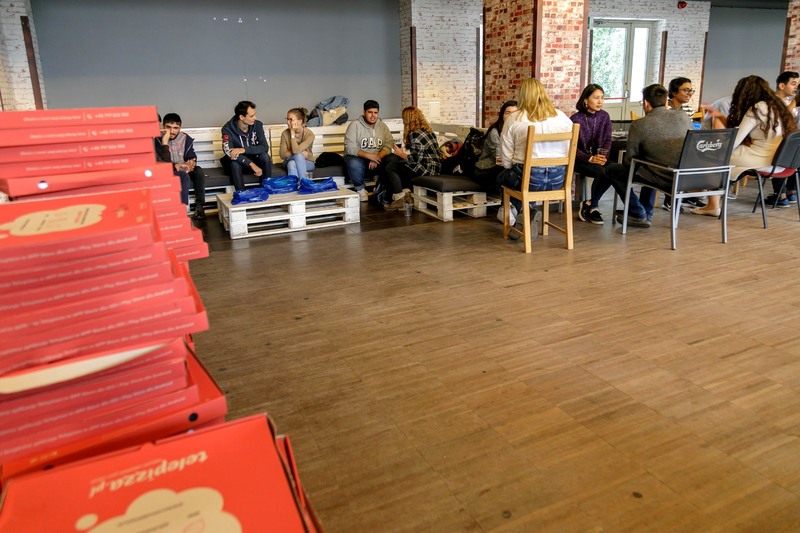 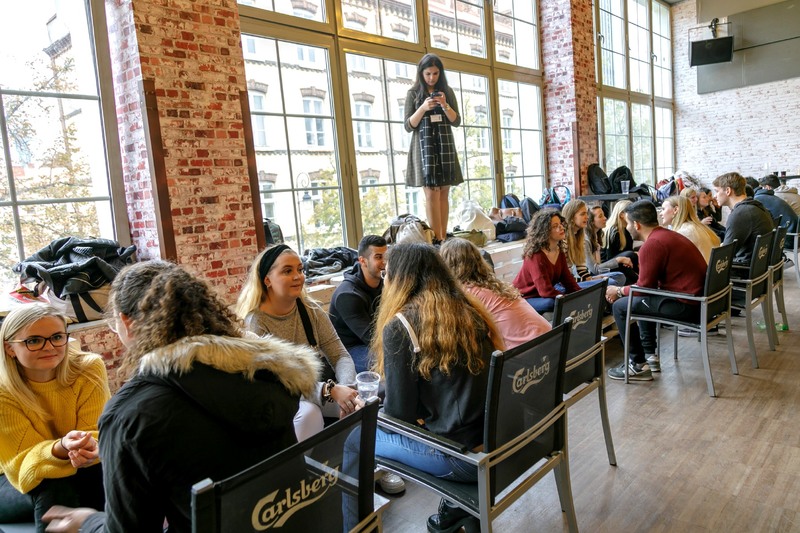 Following a tour of the facilities, students visited the ABE-IPS bookstore on Koszykowa St. Next, EDSG organized a game of speed-friending at Klub Medyk where participants were able to make friends with fellow international students. 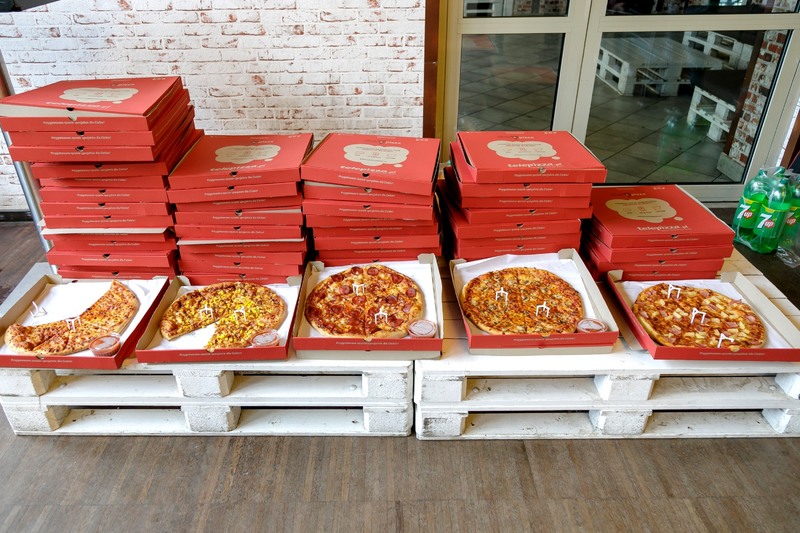 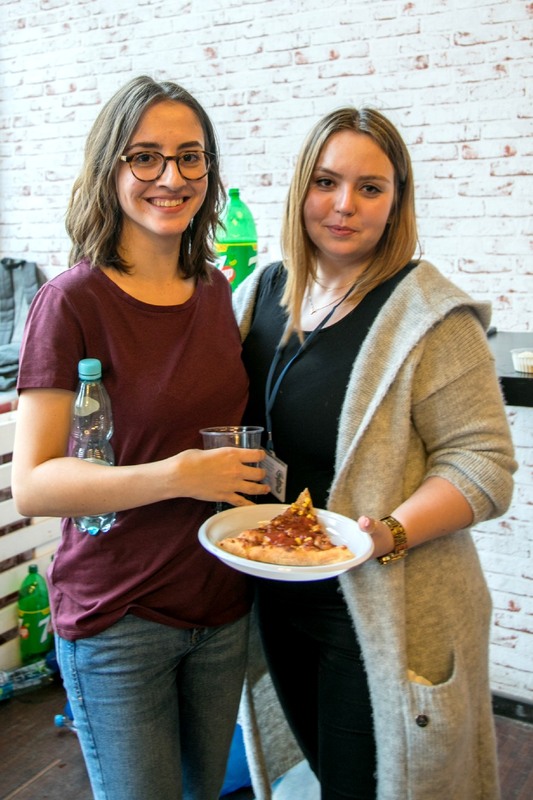 The game was supplemented with lots of pizza and soft drinks. 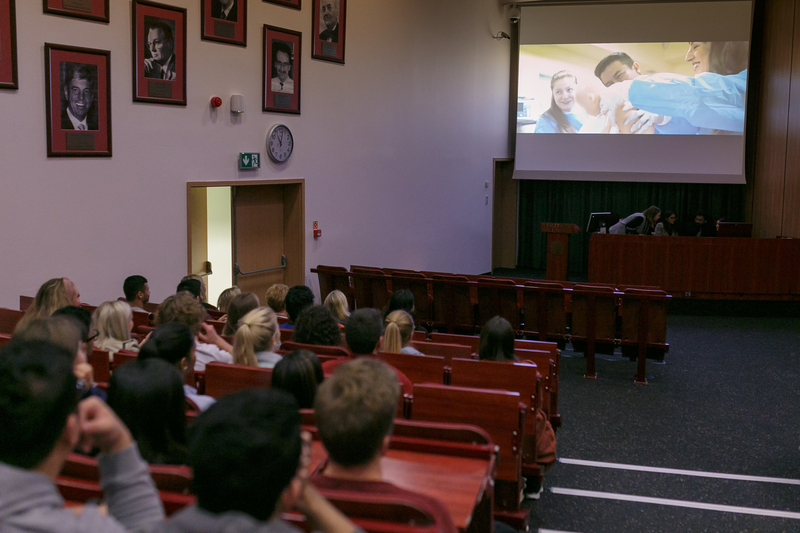 On the third day, new incoming students met at the University library where they learned about the different student scientific clubs like Czarnakowski Surgery Club, Cardiology Club and Anesthesiology Circle, as well as, social clubs like ANSA (Association of Norwegian Students Abroad) and IFMSA-Poland which is part of a global network of medical students. 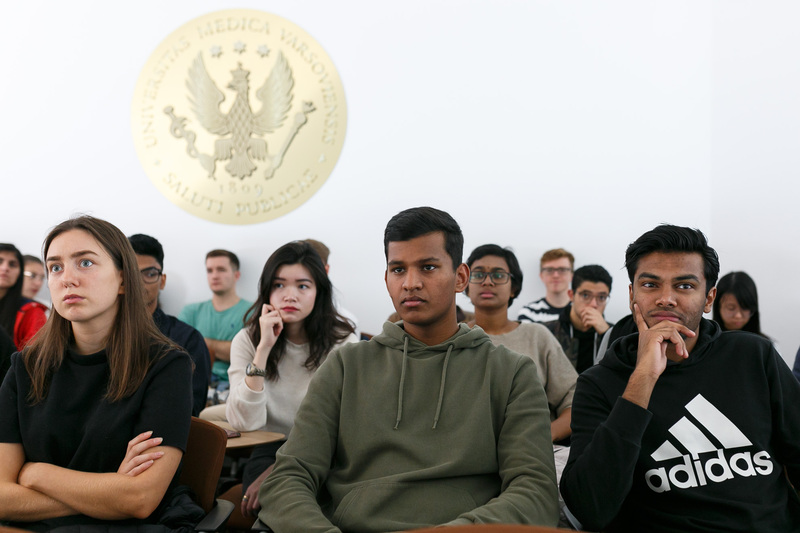 New students were also able to inquire about health insurance options and setting up a bank account. 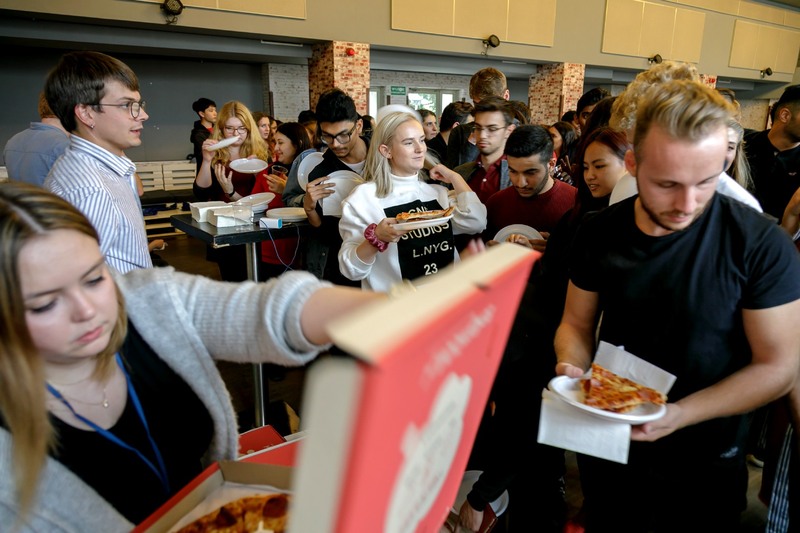 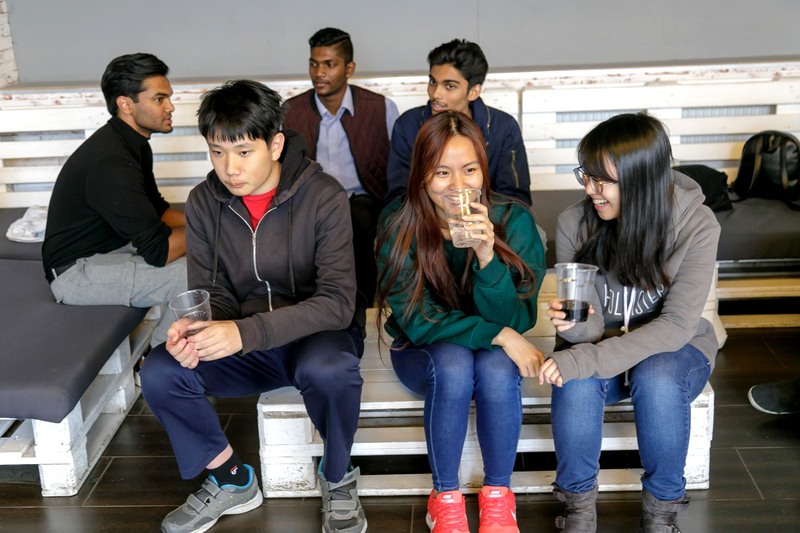 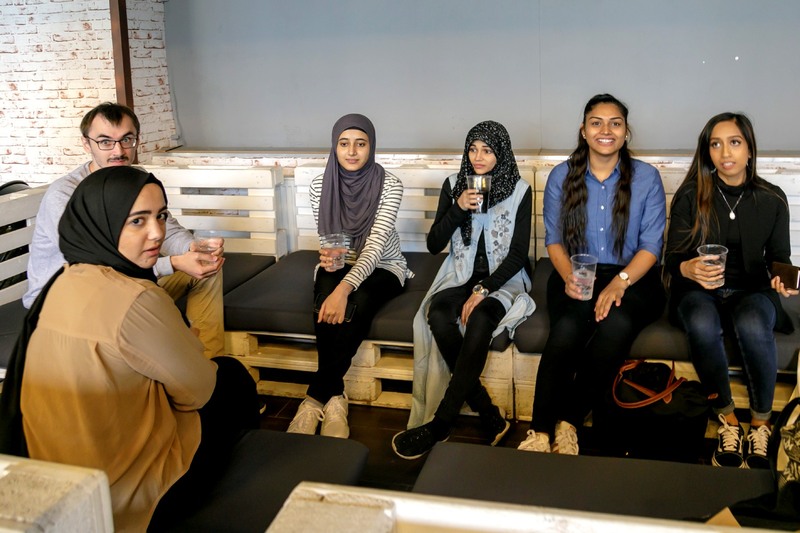 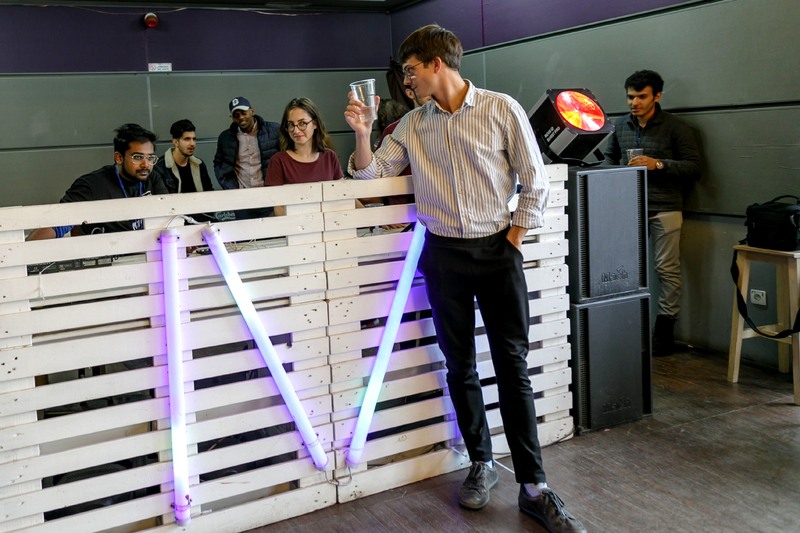 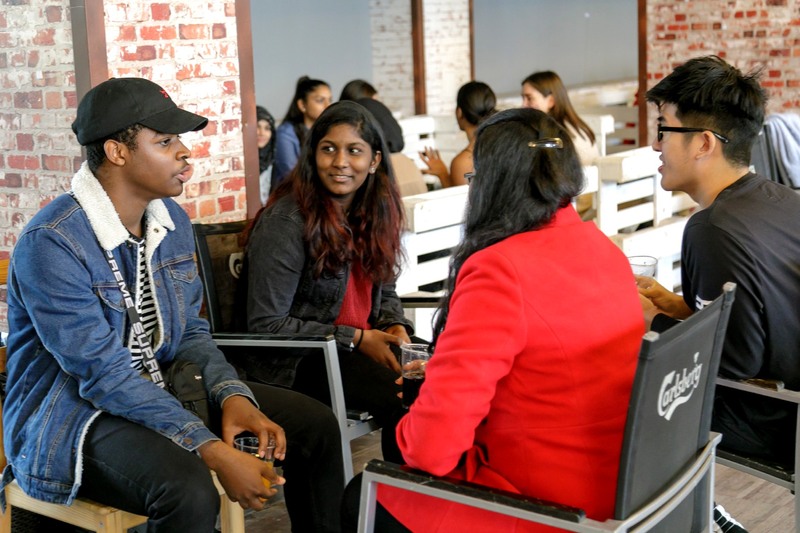 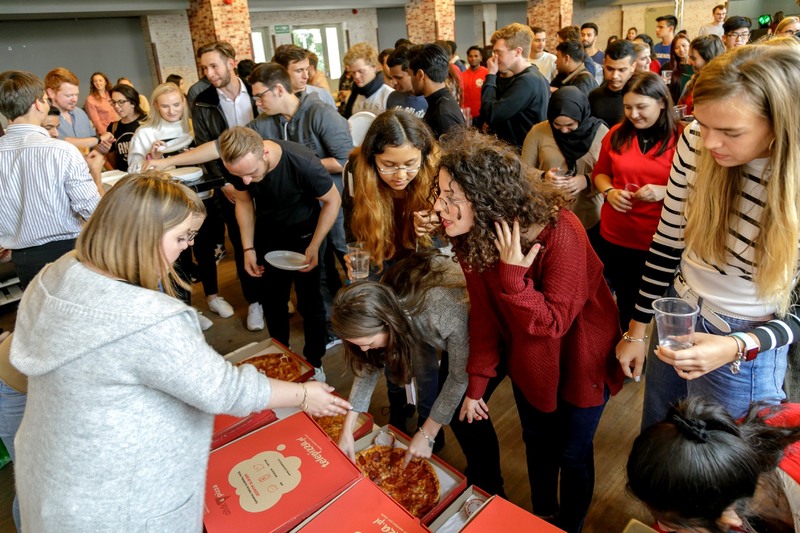 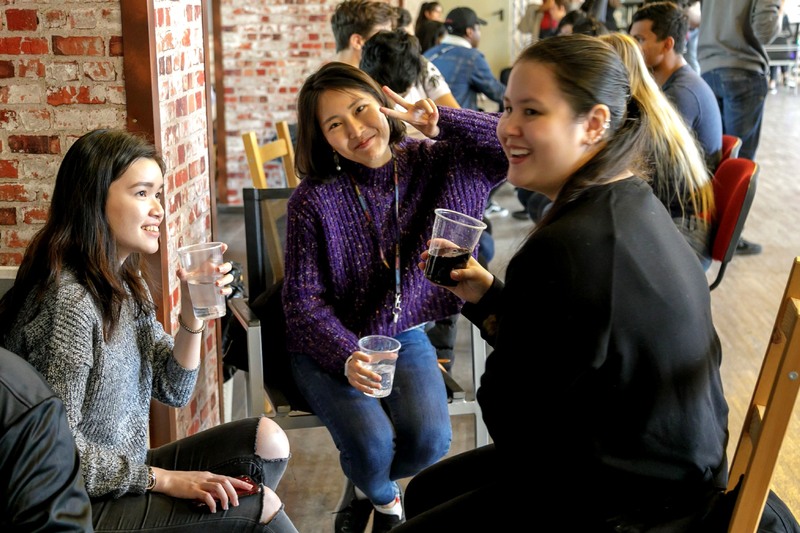 Orientation Week 2018 ended with a series of social events that took place on Thursday and Friday evening. 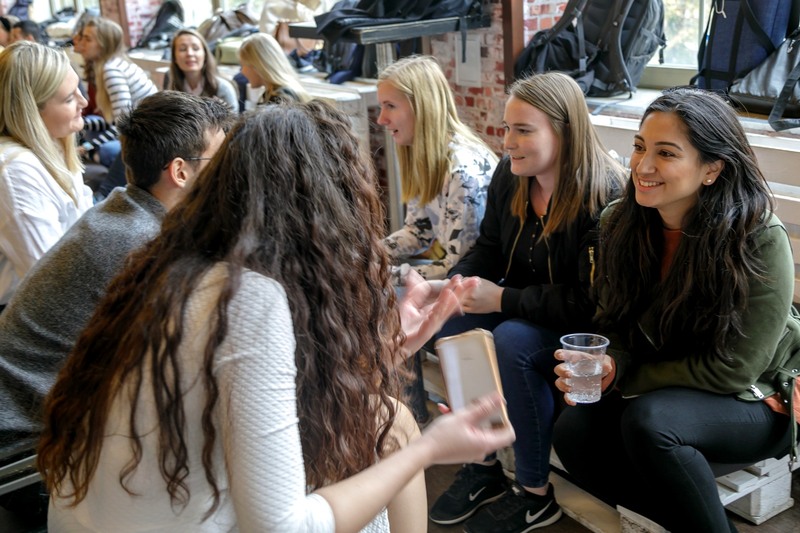 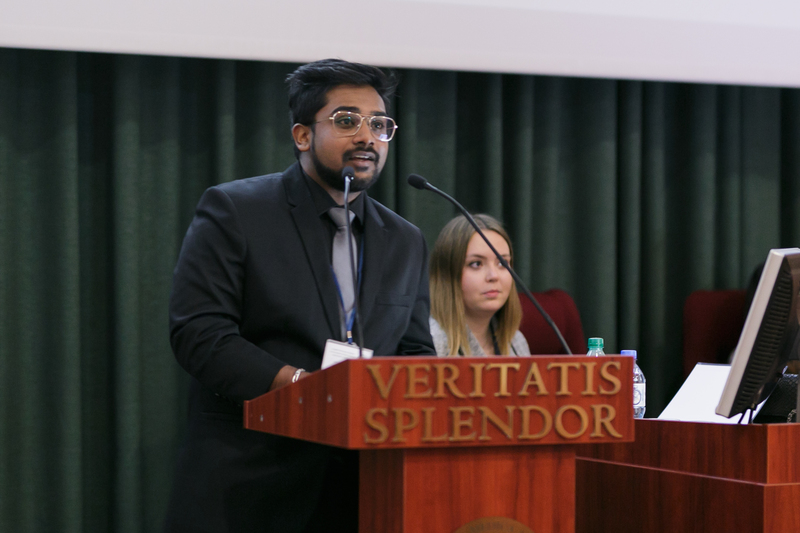 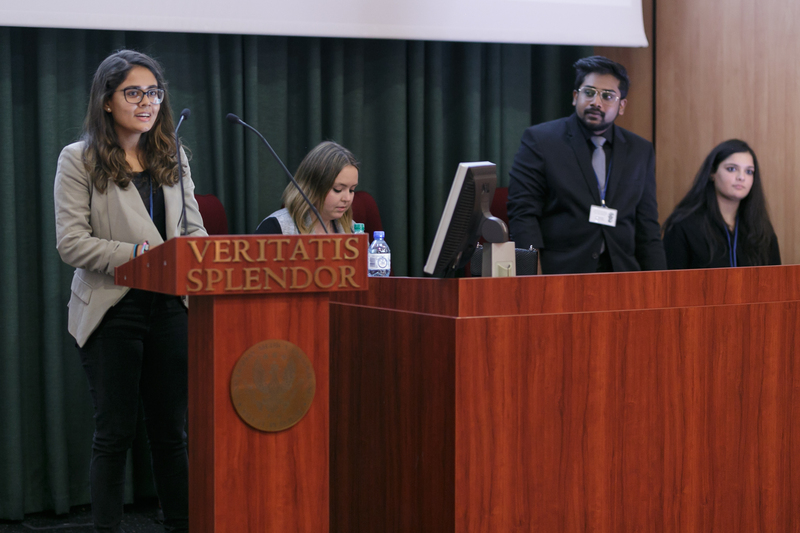 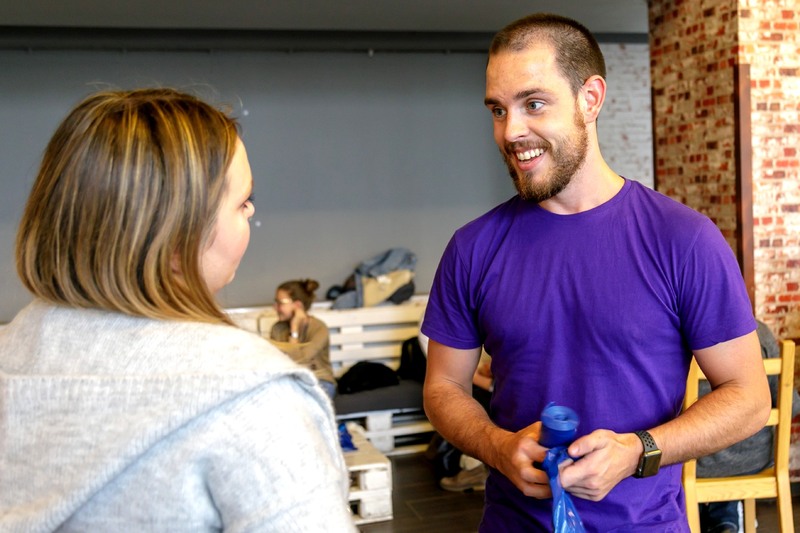 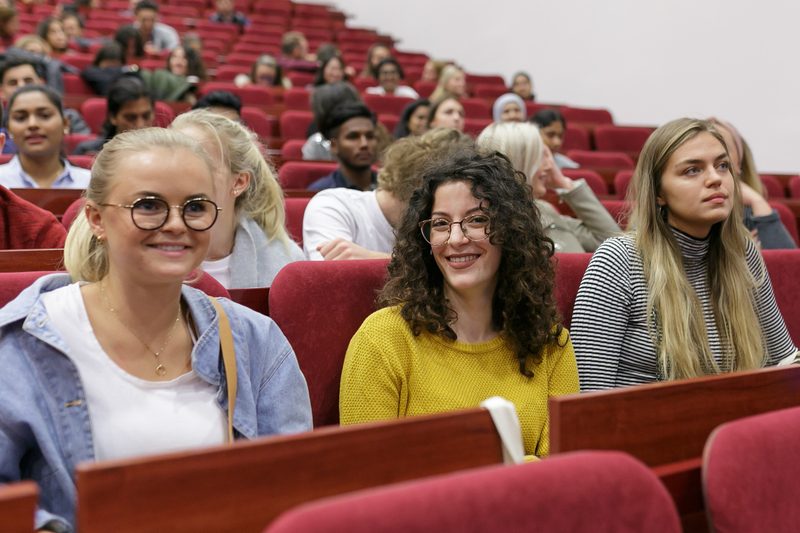 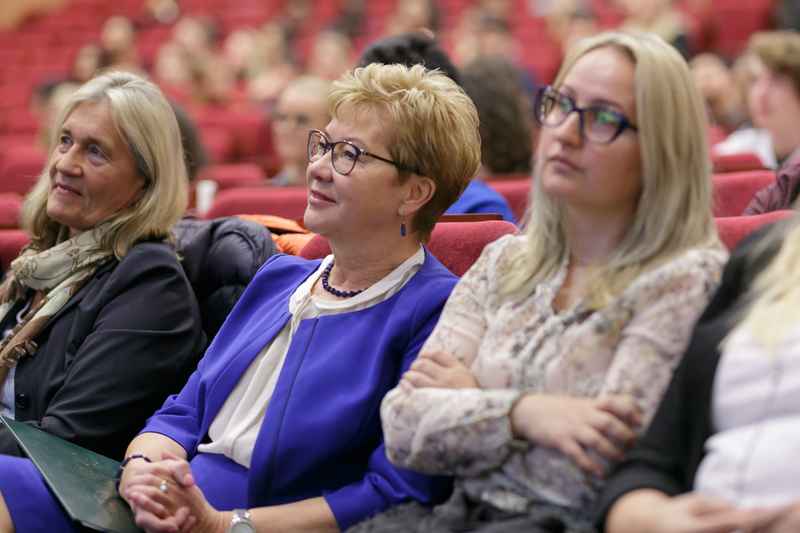 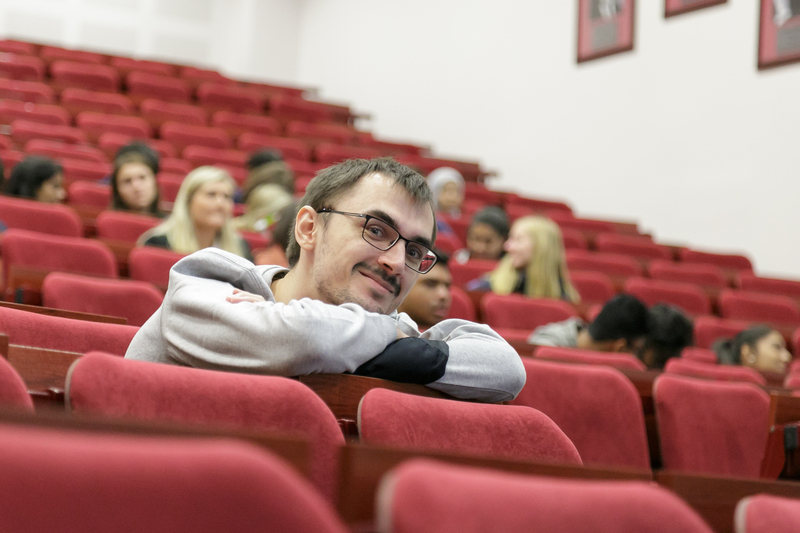 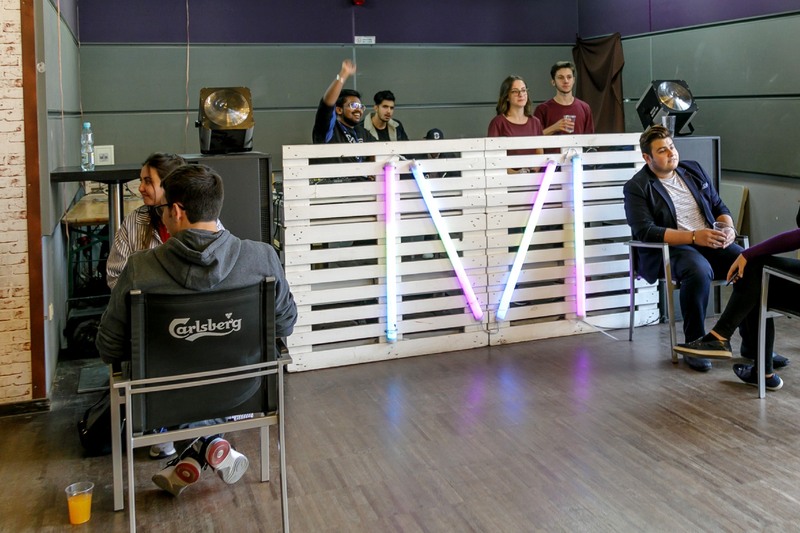 Overall, Orientation Week 2018 served its purpose in providing new incoming students essential information and advice as well as many opportunities to meet other students at the start of their MD and DMD studies at Medical University of Warsaw. 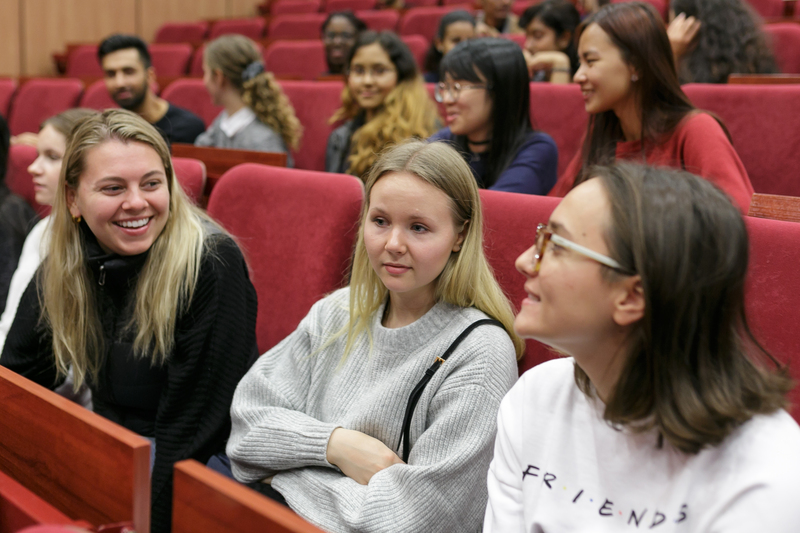 EDSG would like to thank Second Faculty of Medicine English Division, Faculty of Dentistry and Medicine English Division, the International Relations Office for their support in making Orientation Week 2018 possible. 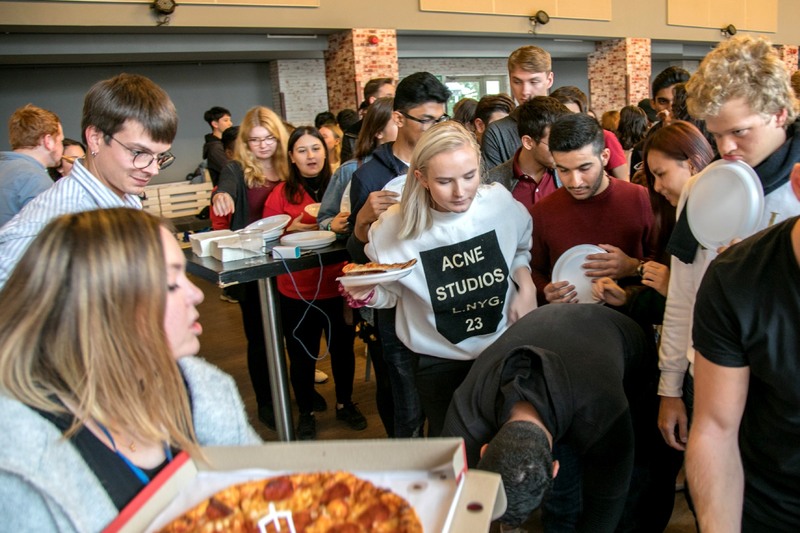 Thanks to the many student volunteers who gave their time, Orientation Week 2018 was a great success!